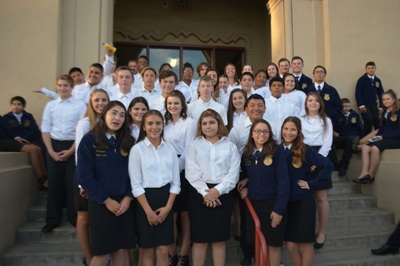 Veterinary Science, Milk Quality and Dairy Products, Market Cooperatives, Small Engines, Floriculture, Nursery and Landscape, and Pest Control are the CDE Teams that Merced FFA currently offers. Career Development events are very competitive and focus on career preparation and skill development. Those who compete on these teams develop their critical thinking, communication skills, and various job skills. Judging Teams at Merced FFA stick to a practice schedule of a few times a week after school but are expected to study their respected events every day. 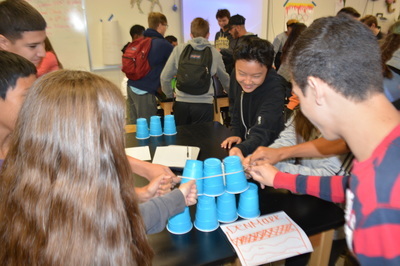 The competitive streak is strong in all members at Merced High, and each team focuses on their practices whether its test-tasting cheeses, practicing reasons, or troubleshooting engines. A typical practice for our Veterinary Science team consists of an equal amount of time on exercising their knowledge of practicums, common veterinary techniques, and animal identification. This dedication definitely shined at our most recent competition, Arbuckle Field Day. 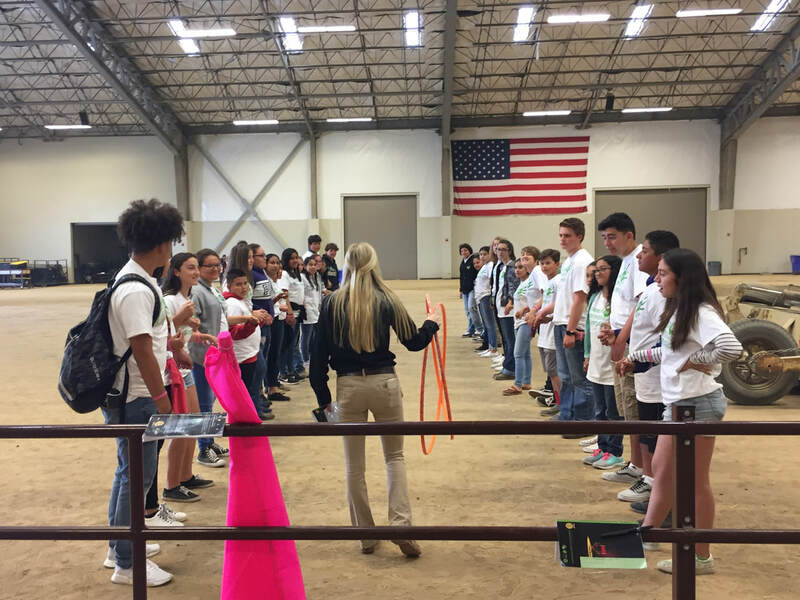 Held at Pierce High School in Arbuckle, California, this field day quickly became a competition to remember for Merced FFA. Overall as a team, our Nursery and Landscape team took 3rd Place, and both the Market Cooperatives and Milk Quality and Dairy Products took 1st! Individually, Glenda Graham, Katelyn Huie, and Kjori Murakami placed in Milk Quality and Dairy Products. Jocelyn Ramirez, Reagan Pellissier and Tricia Webster placed individually in Nursery and Landscape. Dylan Hair and Hannah Martinez individually placed in Market Cooperatives. All teams sub placed in their individual contests as well! This competition season is very promising for our devoted teams! 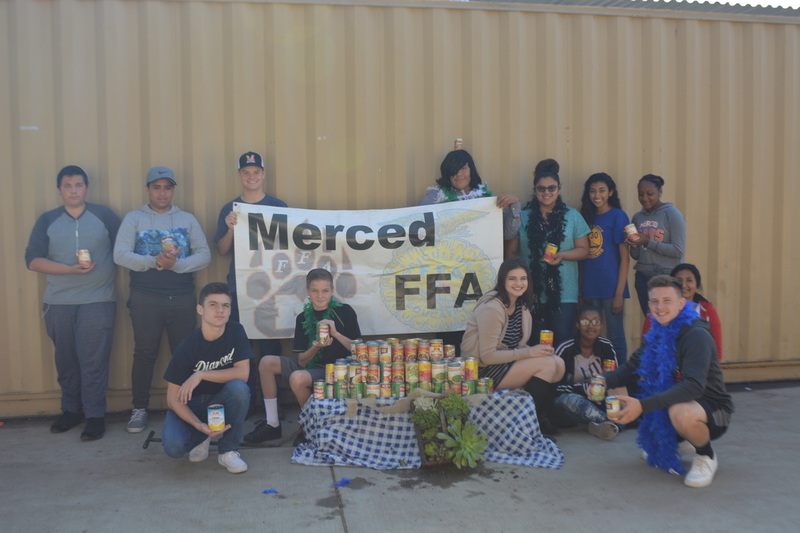 Merced FFA Is lucky enough to have a field day scheduled for every weekend in March and a few in April, before State Finals in May! Merced FFA Wins the Sectional Basketball Tournament! 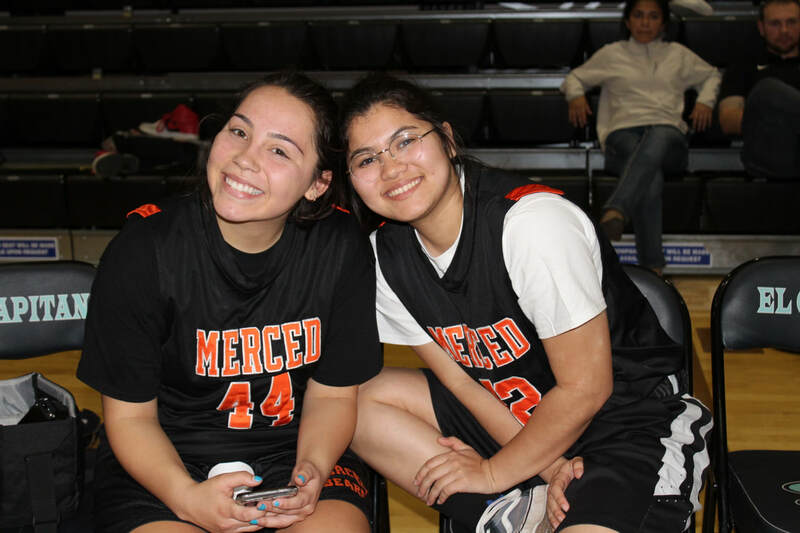 Merced FFA competed and WON the Sectional Basketball Tournament! Merced FFA went undefeated against 5 out of the 8 chapters that competed! 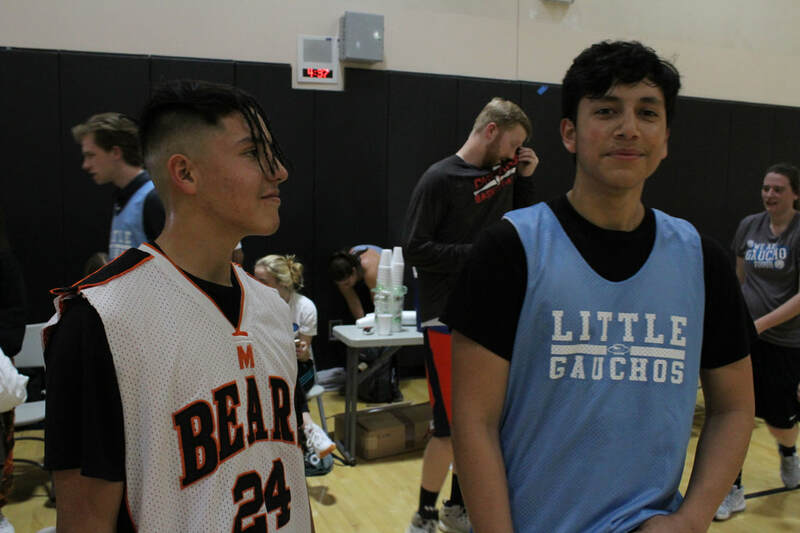 We took over 50 members and had loads of fun competing against other chapters in a friendly game of good ol basketball! Shout out to Mr. Harding for coaching our team and helping us get the DUB! Great Job Merced FFA! 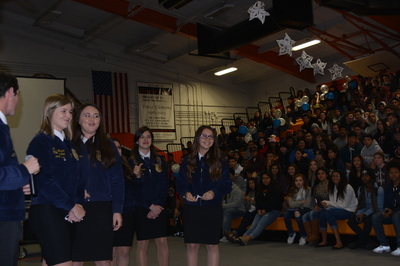 The Merced FFA chapter is beginning the second half of the school year, as well as embracing old traditions and embarking on new journeys in 2019. One of our main goals for our chapter is to maintain strong involvement while creating many opportunities for our growing membership. 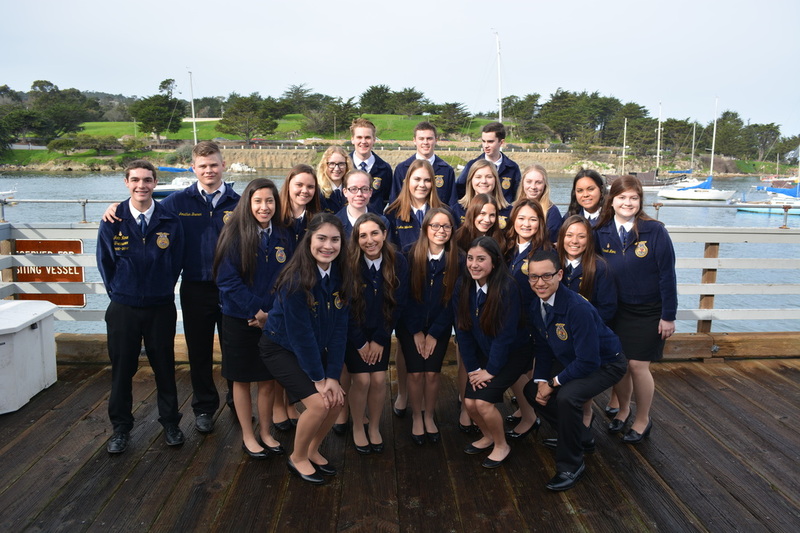 The final five months of the school year are jam-packed with Public Speaking Competitions, Career Development Events, Animal Projects, and the highly anticipated California FFA State Convention! Merced FFA is breaking boundaries and plans to bring a record-breaking number of 35 passionate members to experience this once-in-a-lifetime Convention in Anaheim! 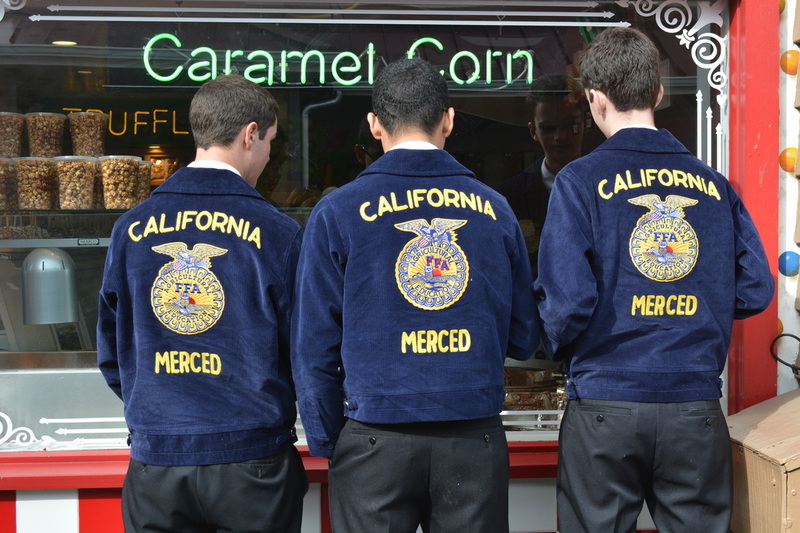 In 1982, Merced FFA ranked the largest Chapter in membership in California! In 2019, Merced FFA hopes to return to its high tide by continuing to surpass goals, and introducing new ideas to our sprouting Chapter! The chapter is well on its way as it currently has the highest membership Merced FFA has seen in over 15 years! We have approximately 680 dedicated members and 5 enthusiastic agriculture teachers residing within our growing Ag Department. 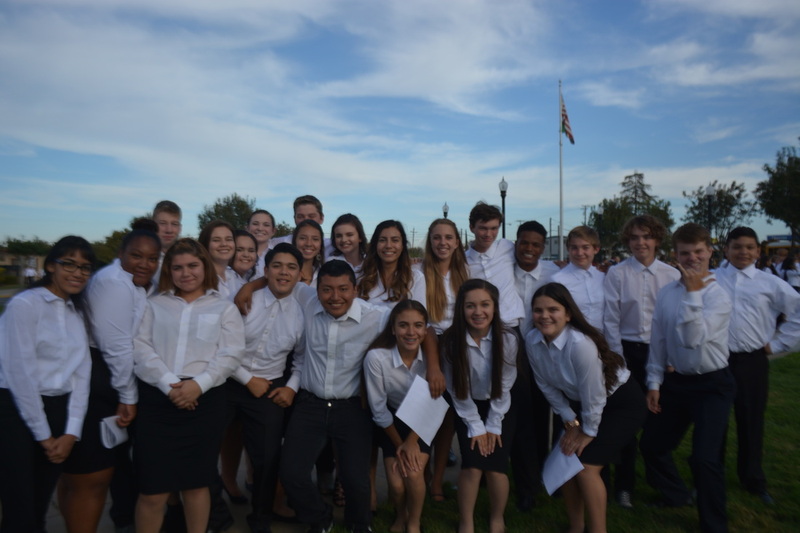 Many of these members participate in the various activities that take place outside of the classroom. These activities include but are not limited to job interview, creed recitation, impromptu public speaking to dairy products, floral design, and small engine repair teams! One of the newest projects for Merced FFA is the construction of our new student-built chicken coop! Our chicken coop will feature over eight different breeds and provide a range of eggs from white, brown and blueish-green thanks to our Ameraucanas. A few of the other breeds include Rhode Island Reds, Black Australorp and Golden-laced Wyandottes. This has been a great learning experience for the students as all eggs were hatched through our animal anatomy class and the veterinary science class. Chapter raised $55 dollars and through the Salvation Army this money will feed a family of 4 for a week! ​Many people in our community are struggling financially and are forced to choose between purchasing their child a new toy for Christmas or putting food on the table. 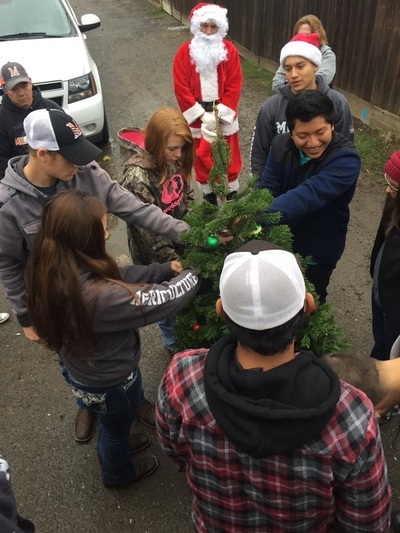 In order to relieve the stress of a family in a similar situation, Merced FFA is participating in Adopt-a-Family! Adopt-a family is a fundraiser that allows us to provide a family in need with gifts that they would otherwise not receive on Christmas. Their ages, clothes sizes, and interests are displayed respectfully and anonymously on posters around Merced high. This opens our Adopt-a-Family to other than our members but also students, administrators and community members to donate items that will hopefully create a Christmas this family will never forget! A famous and enjoyable symbol for Christmas is the Christmas tree and depending on some families financial situations, many people are left without the said item that brings the most Christmas spirit. For the last 11 years, Merced FFA has donated up to 8 decorated trees a year to families in need. These trees are decorated with lights and ornaments donated by our FFA members and are decorated at our monthly December chapter meeting. These trees will be delivered on December 15 to the 7 needy families in our community! 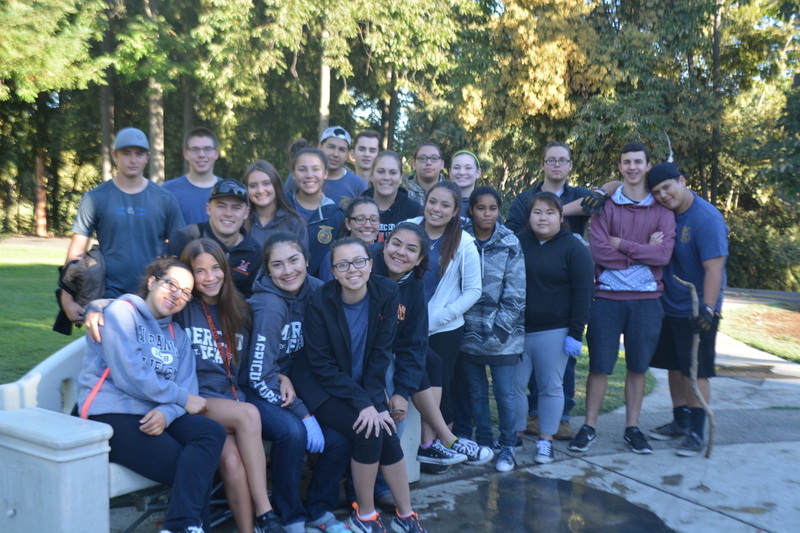 Merced FFA is truly representing the FFA Motto by displaying a great example of “Living to Serve”! 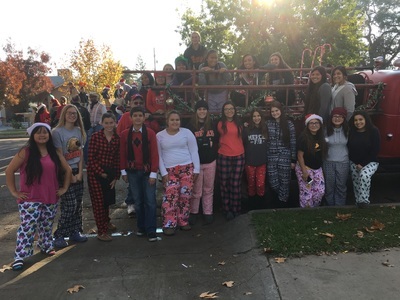 Merced FFA wishes all a holiday full of warmth and cheer! 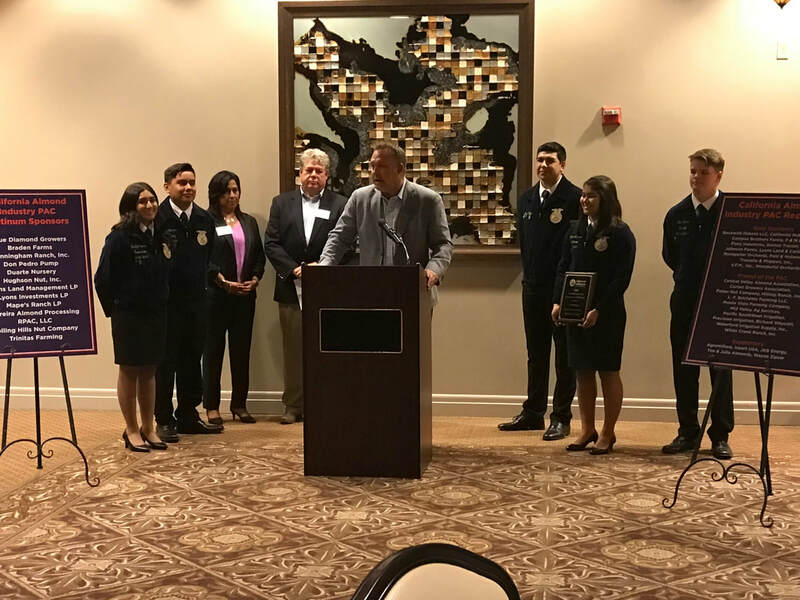 On October 25th 2018, five members of the Merced High School FFA Chapter attended the Almond Alliance of California’s dinner reception at the Del Rio Country Club in Modesto, California. 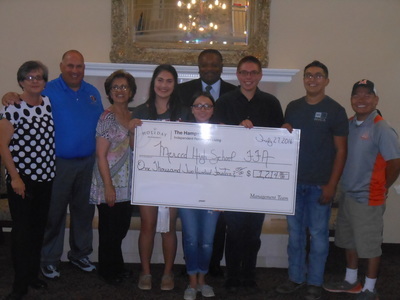 Merced FFA was asked by the President of the Almond Alliance, Elaine Trevino, to help with this exclusive event! Our students had the amazing opportunity to present Assemblymember Adam Gray with the 2018 Almond Industry Champion of the Year Award! 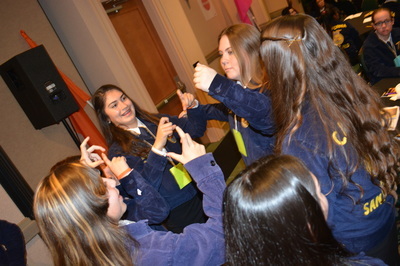 Merced FFA members also had the opportunity to meet with other figures within the agriculture industry. They were able to spend the night sharing their story in FFA with community members as well as agriculture supporters. 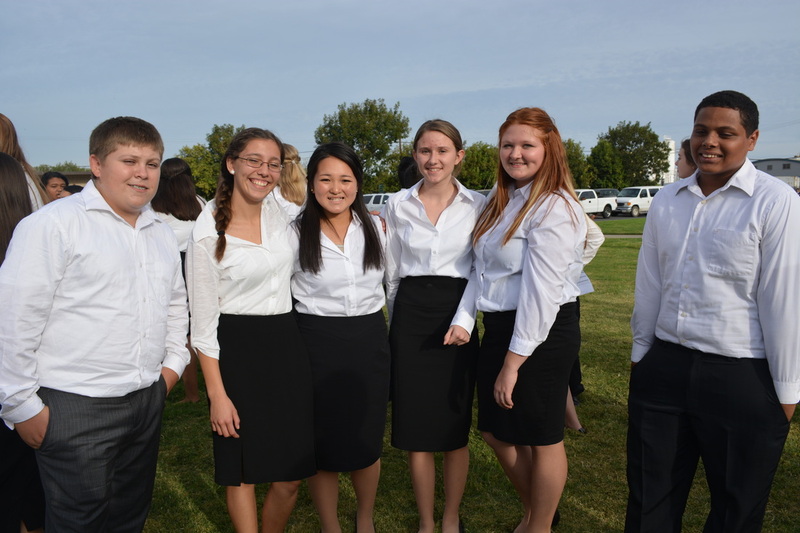 “It was a great experience for these five students. These students will remember this night for many years to come.” shared Steve Mua, one of the Merced High Agriculture teachers present at that nights event. 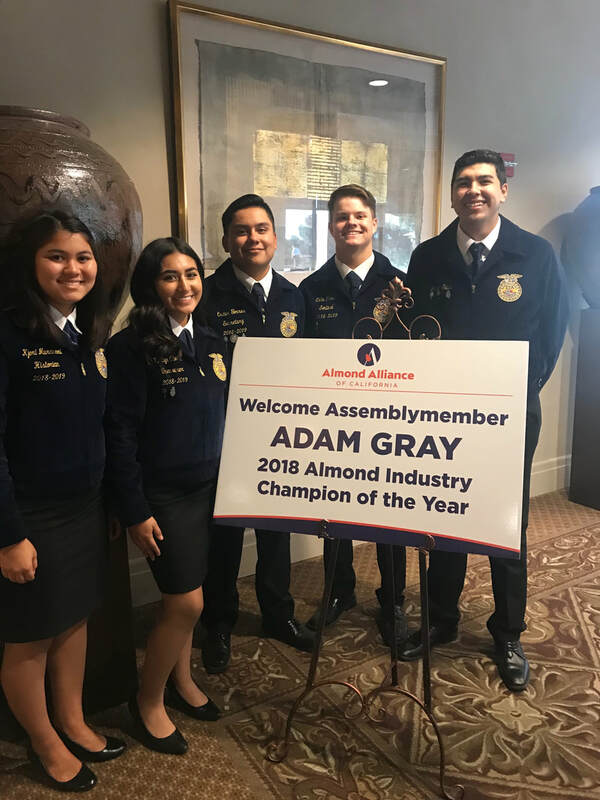 Merced FFA would like to publicly thank the Almond Alliance of California for this wonderful opportunity and Assemblyman Adam Gray for his time! We’re back and we’re better than EVER! 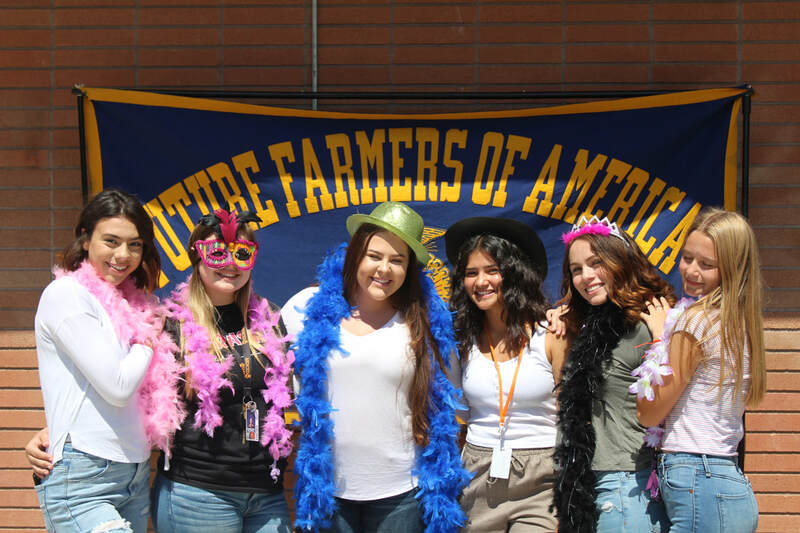 Merced FFA has kicked off the 2018-2019 school year with a bang! The month of August has kept our members busy with the Water Rally at the state capitol, MHS Ag Open House and the Greenhand Leadership Conference! 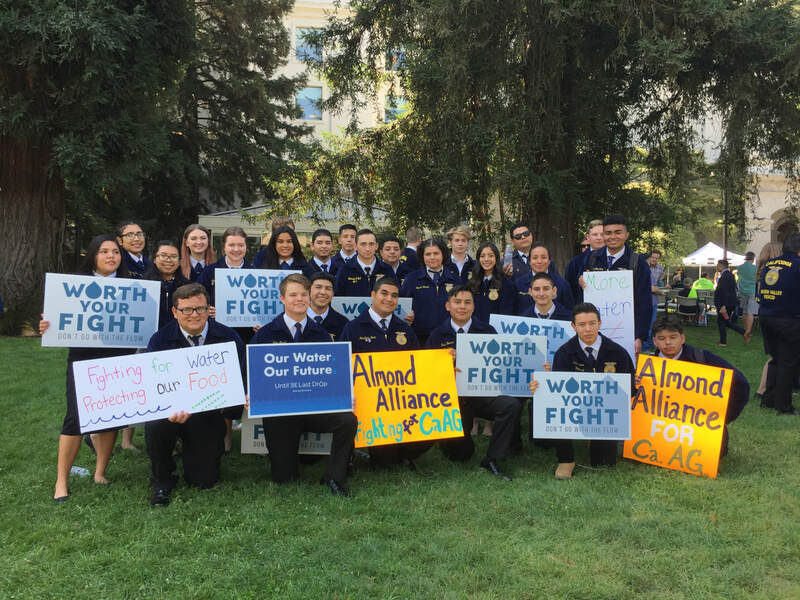 We started off with taking twenty-seven students, that represented Merced FFA, at the Water Rally in Sacramento. They were able to listen to senators opinions about the California State Water Resources Control Board plans for water reallocation in the Central Valley. 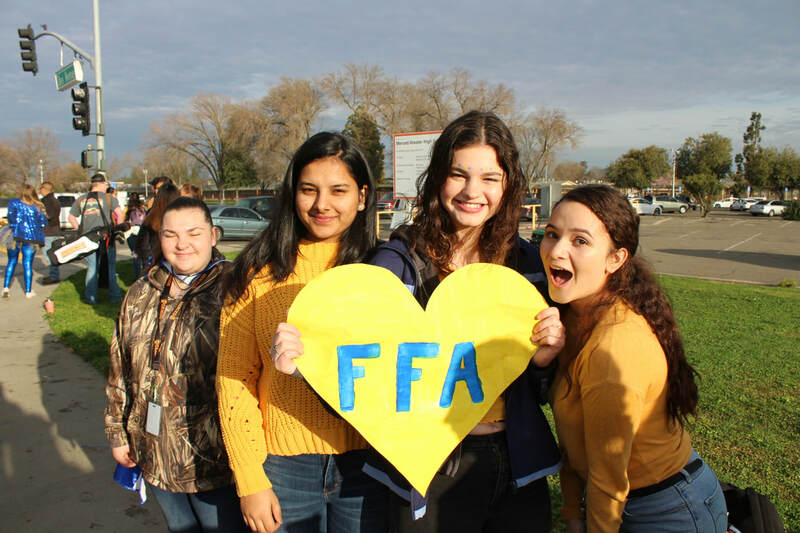 Students started their day bright and early heading to Sacramento to meet with FFA chapters from across the state as well as farmers and ranchers protesting water rights. Our president, Jared Crossman, was the only student attending that was given the opportunity to speak about the water grab crisis that California is facing. He says, “It was an incredible experience to speak on behalf of all of FFA. Blessed to be given the opportunity.” They spent the rest of the day speaking with other representatives and finished their day with a trip to downtown Sacramento. On August 24th, our freshmen attended the Greenhand Leadership Conference to further their knowledge about our organization. 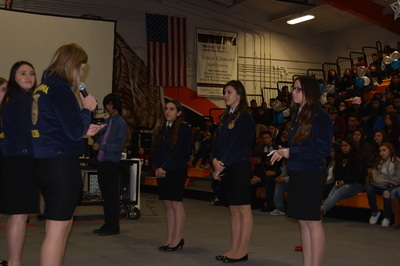 This conference helped them understand what FFA opportunities are headed their way in Agricultural Education including SAE projects and CDE events. 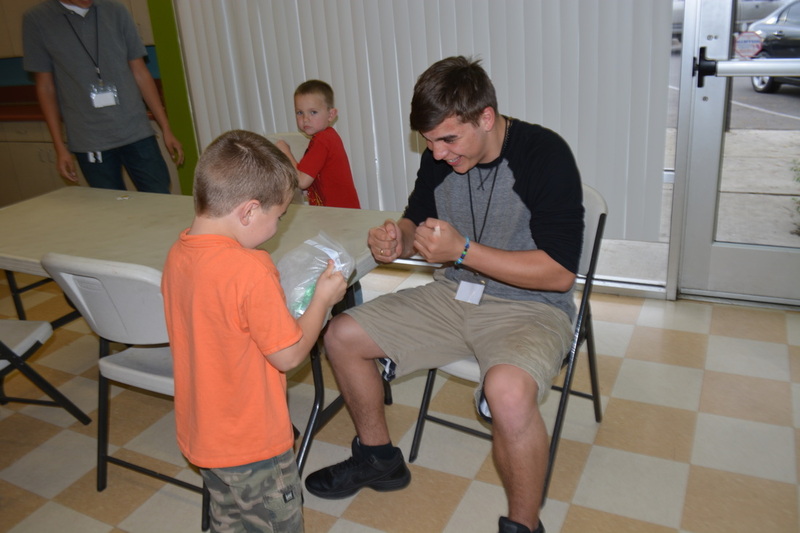 They participated in a fun-filled day workshops and leadership building activities. All those who attended enjoyed their time and are already becoming involved in our chapters events. 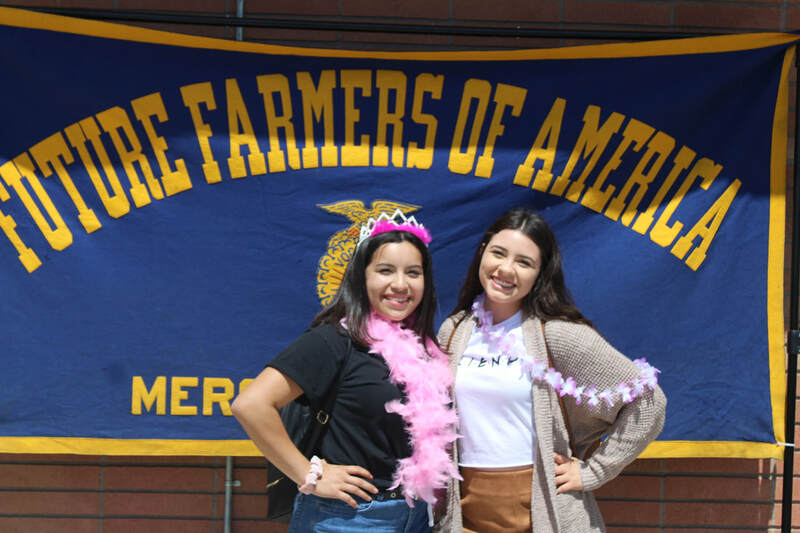 Finally, we finished out August with our annual Merced FFA Ag Open House! This is an event we started three years ago to kick off the school year and branch out to the entire Merced High School Student Body. 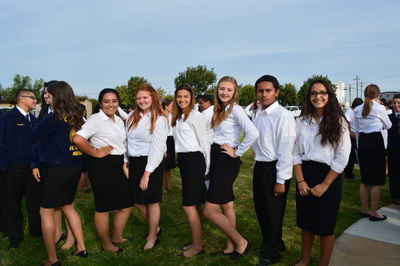 Merced FFA leadership worked together to plan and run the event. 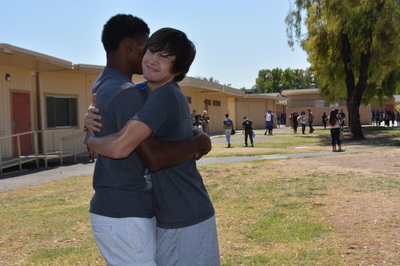 It took place on August 29th in the quad of Merced High during lunch hour. 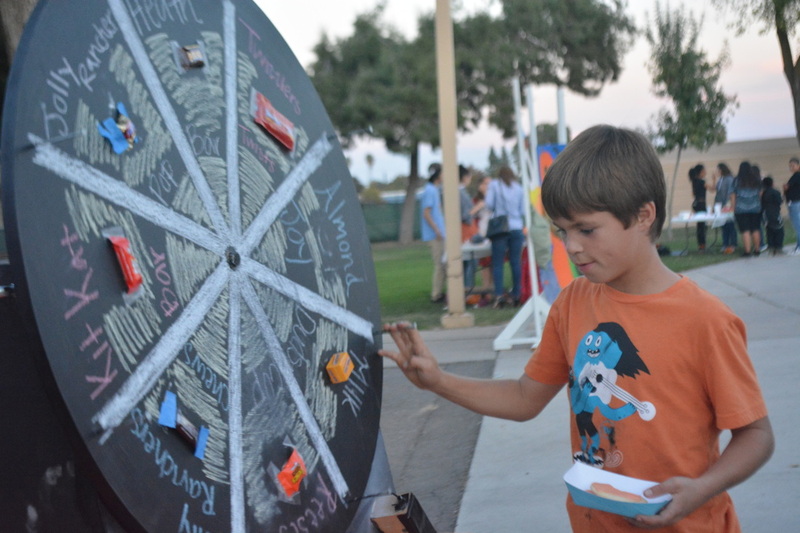 We provided free hot dogs, nachos, sno-kones, otter pops and cotton candy. 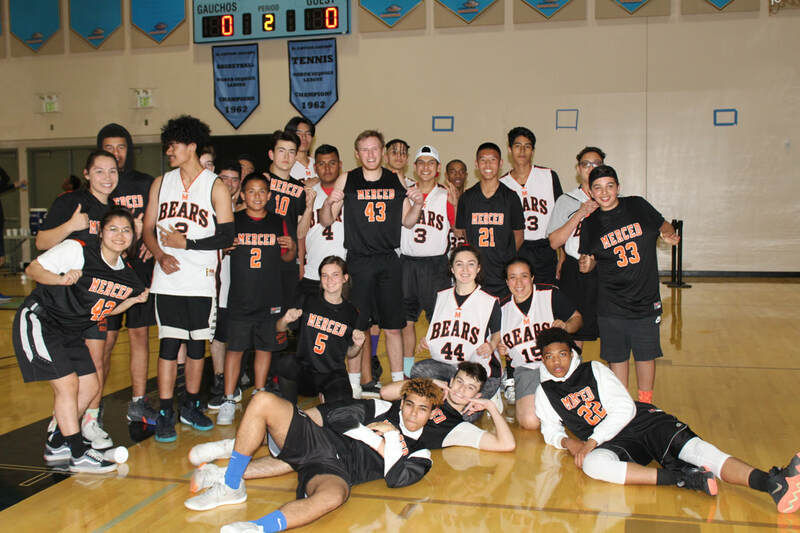 This year over three quarters of our schools population participate in games and raffles, that were organized by our leadership class! It has only been a month and we are so excited for this upcoming year! 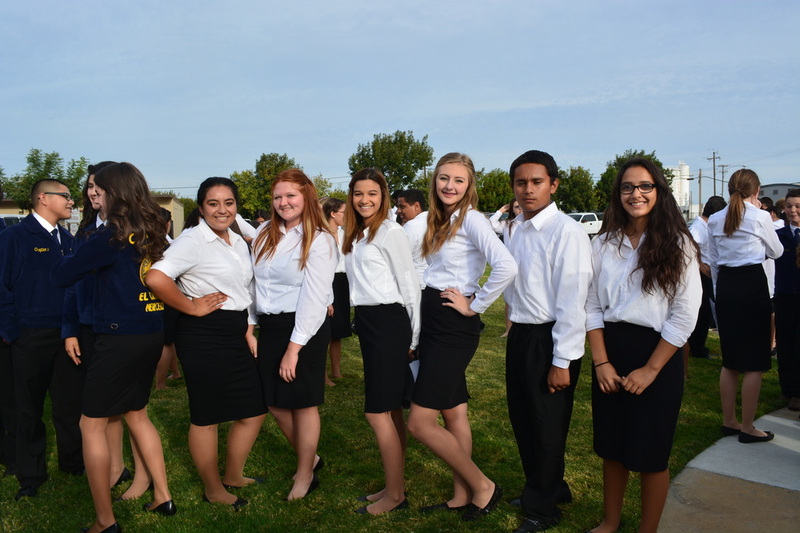 Stayed tuned for more event recaps from Merced FFA! ​We held our annual Ag Open house on August 29th in the quad! We had free popsicles, nachos, hot dogs, snow cones, and cotton candy! We had game tables and even a photo booth! 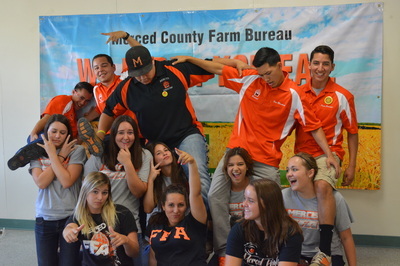 Merced FFA was able to introduce FFA to MHS and create a positive presence on Campus! 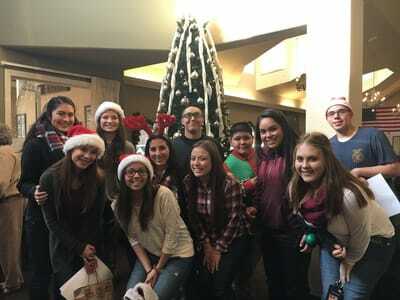 Merced FFA Freshman members had a blast at the 2018 Greenhand Leadership Conference. 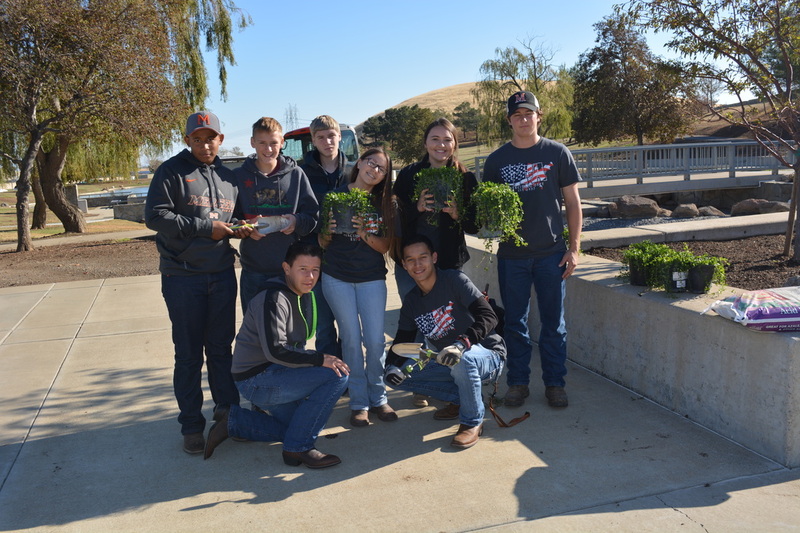 The Conference was held in Modesto California and introduces students to the benefits and opportunities in Agricultural Education, including SAE and FFA. This conference is the “hook-line-and-sinker to get students to buy into Agricultural Education throughout their four years in high school. 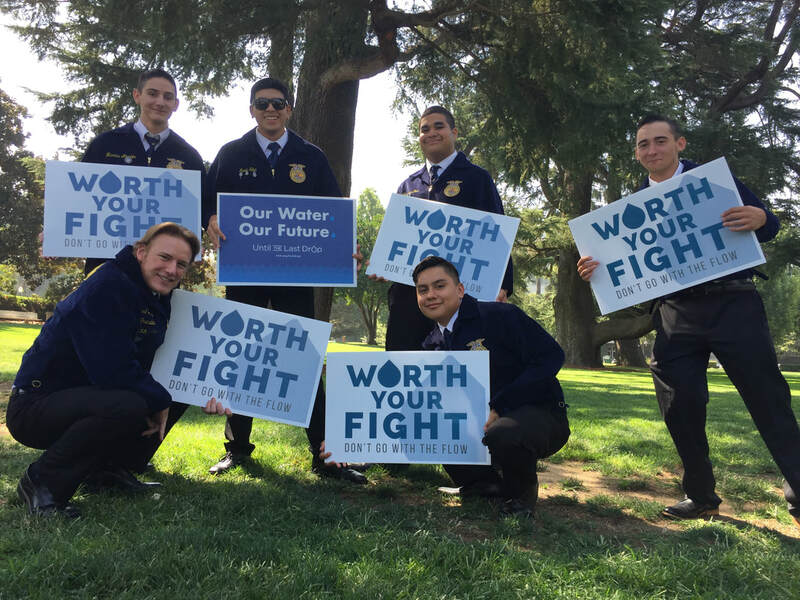 ​Merced FFA members went to the capital for the Water Rally! 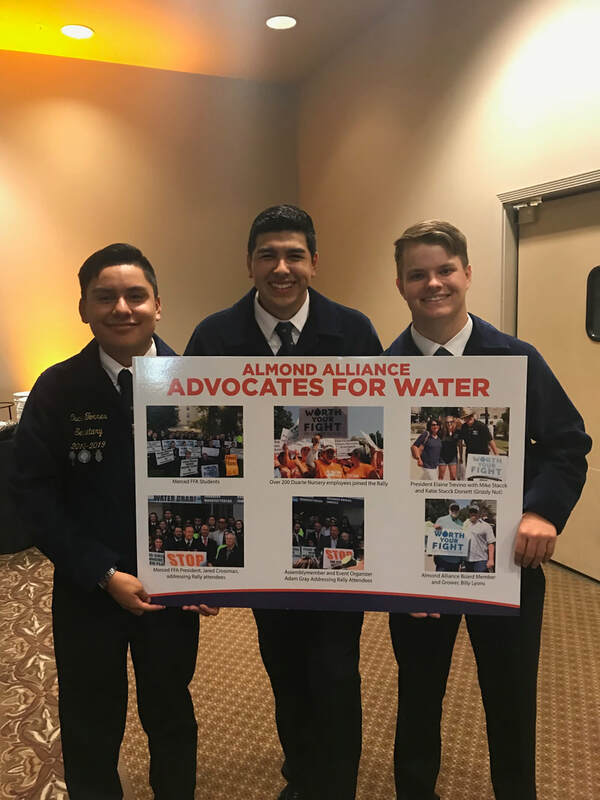 Ready to stop the water grab, our very own president, Jared Crossman, was able to speak on behalf of the ffa about the water grab crisis that is facing California. Eat, Drink & don't be Crabby! Seeing excitement on peoples faces is always priceless. 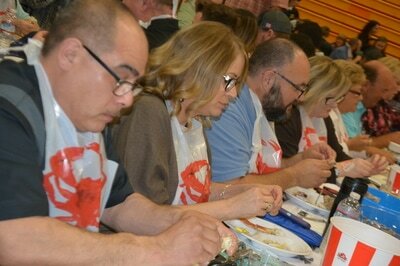 For Merced FFA, we saw this excitement on the faces of the people in the Merced High gym as they ate as much crab, pasta, and bread as they could. 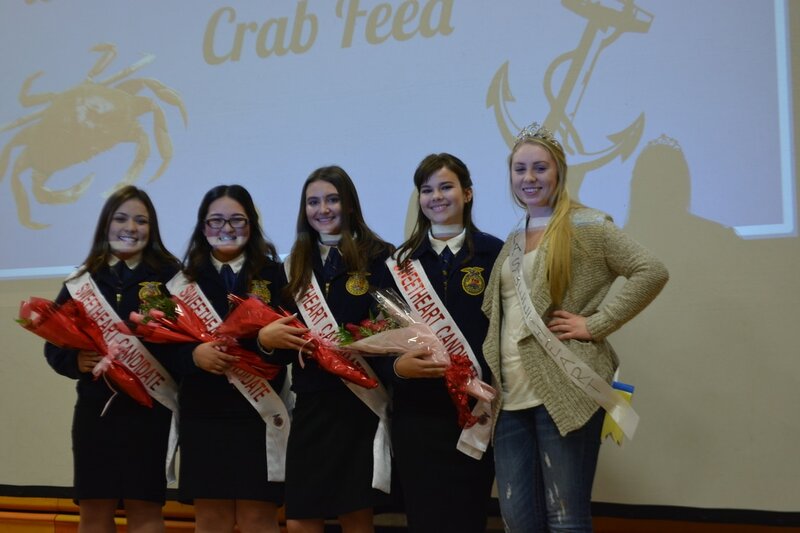 On February 4th of 2017, Merced FFA hosted their 4th annual Crab Feed. Now, when you walk into the doors of the gym on the night of Crab Feed you see beautiful decorations, nicely presented students in their FFA jackets, and of course lots and lots of tables. Merced FFA is proud to say that the whole is event is put on by dedicated parents, Ag advisors, and members of the chapter. 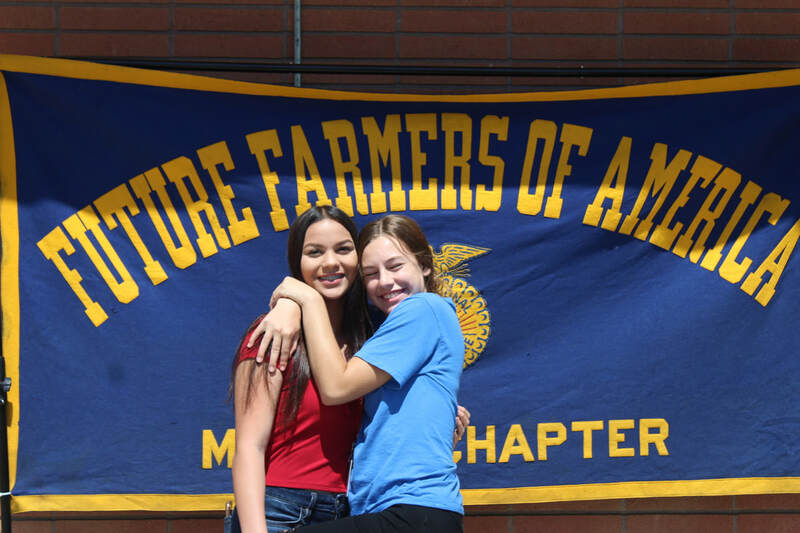 For Merced FFA members, this chapter is their home. So what a better theme than nautical to represent what we believe to be true and of course, crab fits right into that. 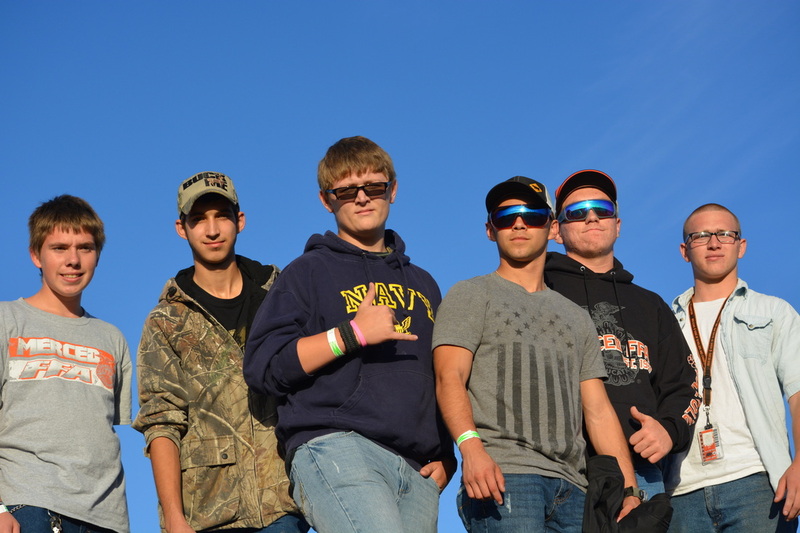 Months in advance, students in the Agriculture Leadership class got into committees to start getting prepared for this fundraiser.. On the day of the event, all of the hard work came into play. 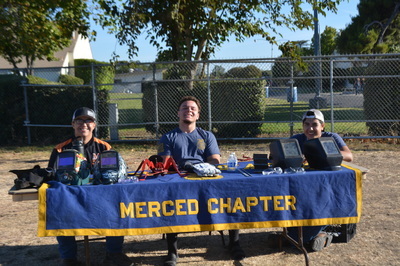 So many members were at Merced High all day on Saturday making sure everything was put together. As a team, everyone got it done and set up faster than ever. Soon, along came 5:00 and people started filling the gym. 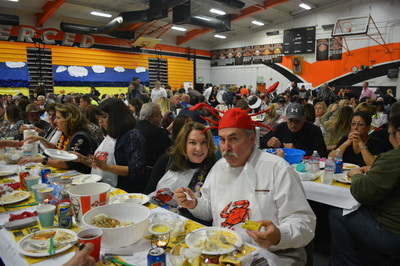 Throughout the evening students served all you can eat crab, attended to the needs of the people attending, and enjoyed the company of the 300 plus people that filled in the gym of Merced High School. 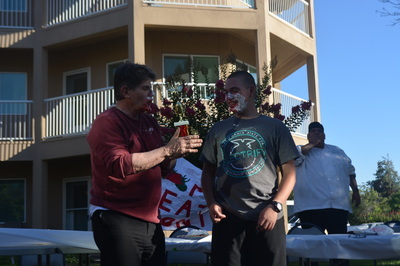 The event went very smoothly and Merced FFA can honestly say this fundraiser was very successful. 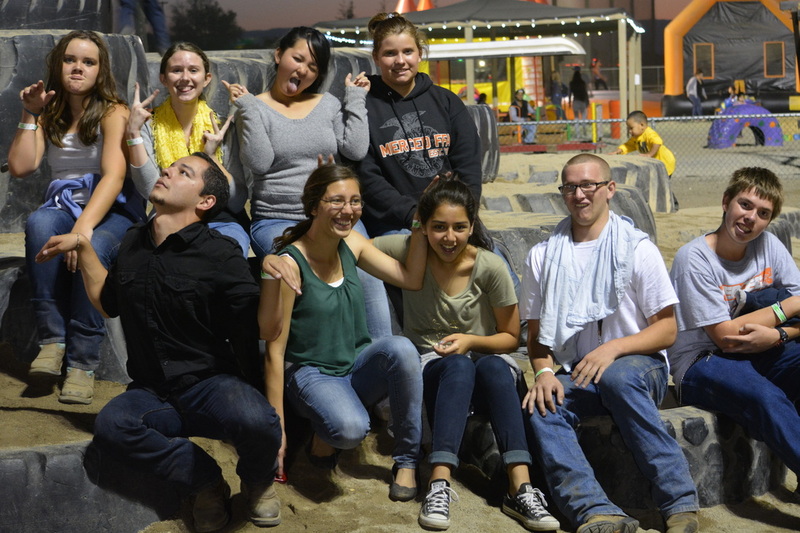 Merced FFA hopes next year is just as great and we thank all the people who supported us this year. Seeing everyone enjoy themselves was worth all the hard work. 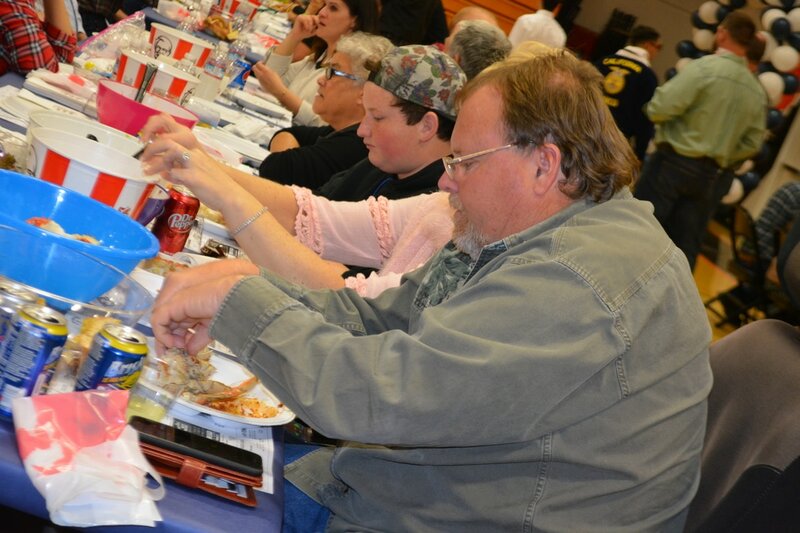 It’s hard to be crabby when you’re at Merced FFA’s Crab Feed. It is known that the best way to spread Christmas cheer is singing loud for all to hear and that is just what Merced FFA did this Christmas. On December 22, 11 members went to the Hampshire to sing door to door. These students walked the halls of the Hampshire Christmas caroling in hopes that all would hear. They left candy canes on the door to give a little something sweet and show that we care about them this holiday. 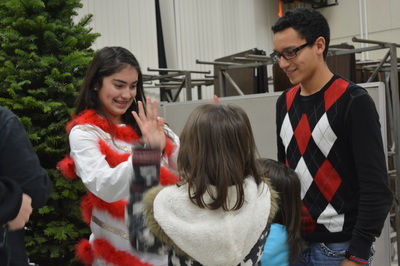 This was such a festive event that allowed students to warm the hearts of the seniors with Christmas carols. The holiday seasons are all about giving and showing love to others. 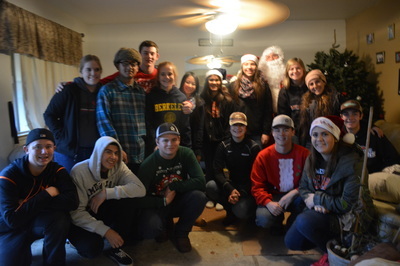 Merced FFA wanted to make 10 families experience that happiness this Christmas. At our December Meeting students decorated 10 christmas trees to deliever to families in need. 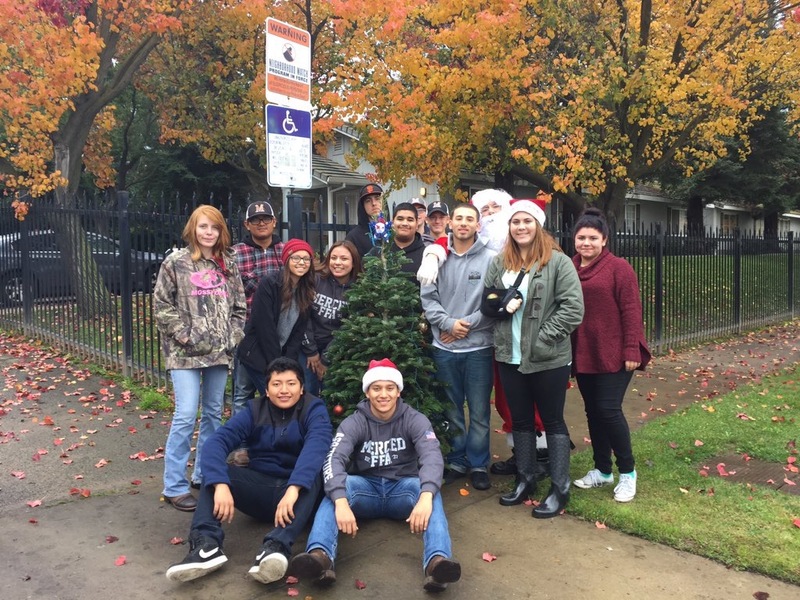 All the ornaments and lights used on the trees were donated and collected by students. During the month of December we also asked for donations for our Adopt-A-Family drive. 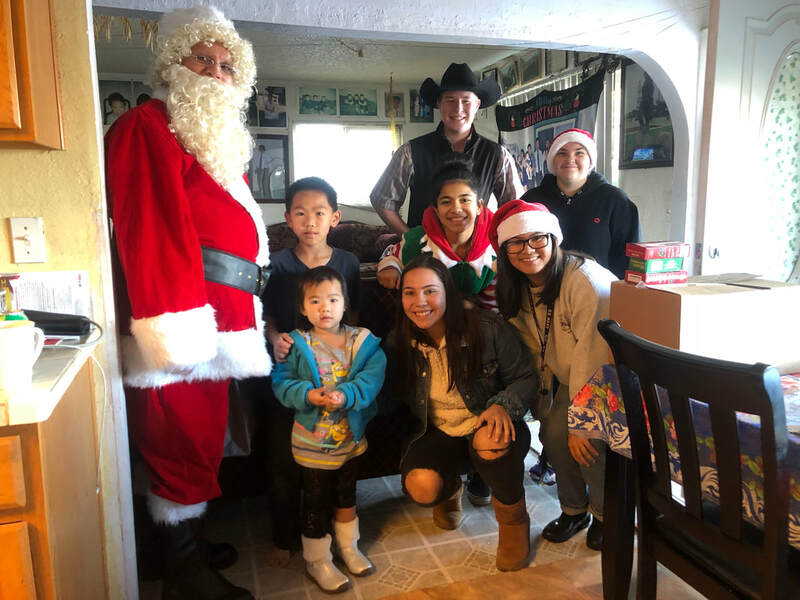 Merced FFA sponsered a family and provided them with clothing! This wonderful experience offered students the opportunity to share what they can and think about others this Christmas. 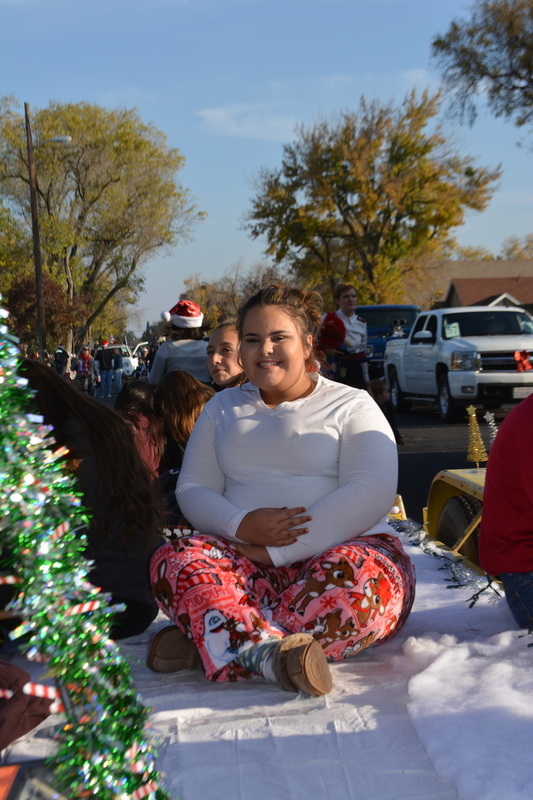 Christmas is right around the corner and what a better way to celebrate than participating in the 22nd annual Merced Christmas parade. On Saturday December 3, Merced FFA and ASB Leadership sat in a float going down the streets of Merced. 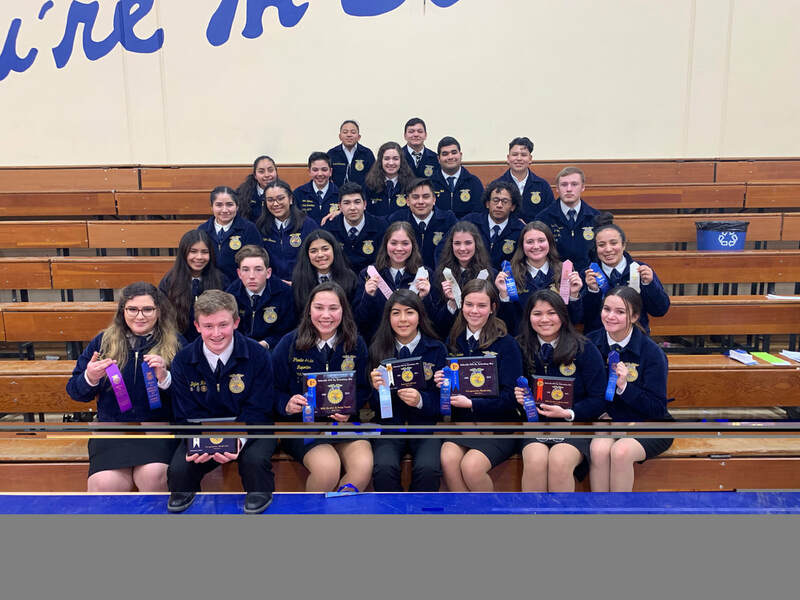 All of this would not have been possible without the hard work and dedication from three of Merced FFA's Ag Leadership students Masiee Her, Angelina Lopez, and Beth Ann Webster. This was such a cool event to be able to participate in and we hope this sparked a new tradition to follow in the years to come! It is known that great things often come from small beginnings. Merced FFA is taking pride in being that ‘small beginning’ during the holiday seasons this year. Our desire as FFA members is living to serve, which is why this year, the Merced-Mariposa section decided to make a can food drive our sections Regional Day of Service. 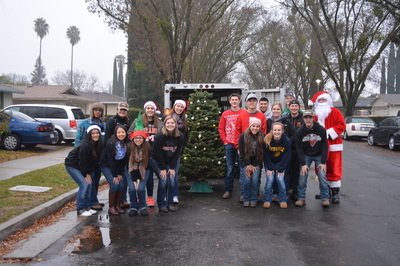 With this being said, Merced FFA participated in a can food drive to donate food to our local food banks. 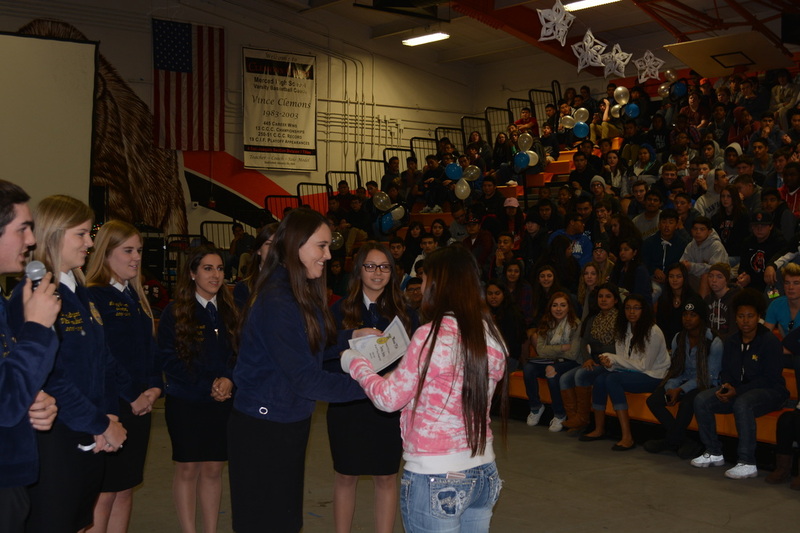 This event offered students in Merced FFA a chance to get involved within their program, as well as their community. Our can food drive is happening at the same time as our Merced High student body can food drive in hopes that we can make a larger impact with our donations. 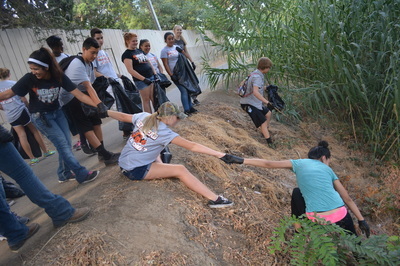 Merced FFA saw this as a window of opportunity to allow the two groups to work together instead of competing for cans. Not only would this promote our diverse organization, but it would show the clubs on campus that we are willing to collaborate and really participate with the school's activities. 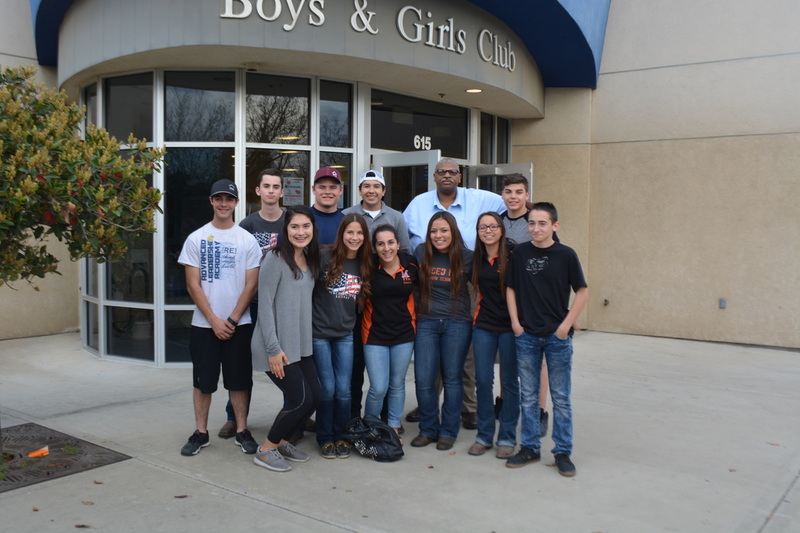 After talking with the Merced High School’s leadership class, we decided to join forces to make this a more charitable event. During the month of November, students were encouraged to bring in canned food and non perishable items to donate to those in need. 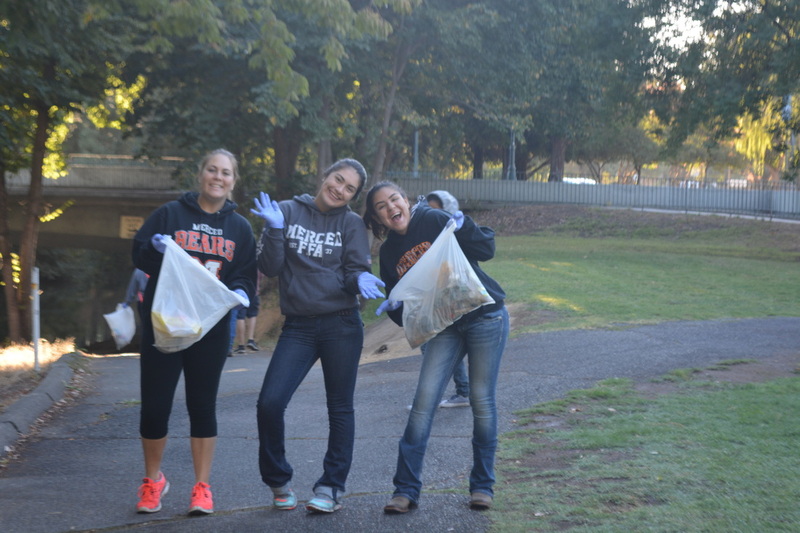 The Regional Day of Service was November 11, which meant Merced FFA needed their cans to be counted by this date. So, the leadership class and FFA got together to count all the cans that were donated by November 11. We all took a picture in front of the cans and submitted this picture to be posted on the Regional Day of Service to show all that we raised. At the end of November, the leadership class and FFA, will deliver all the cans donated to our local food banks just in time for Christmas. This school event was a great opportunity to bring clubs on campus together. We hope that this will just be the start of our participation with other clubs on campus. As a school we were able to encourage students to share what they could in efforts to make a mark on helping others. With all the help from students on campus, we are proud to be the small beginning to create a great thing! Our hopes is that the donations from all the students allow many families from our community to receive a little blessing and a big meal this holiday season. Within our program, Merced FFA has put on many events from monthly meetings to carnivals. 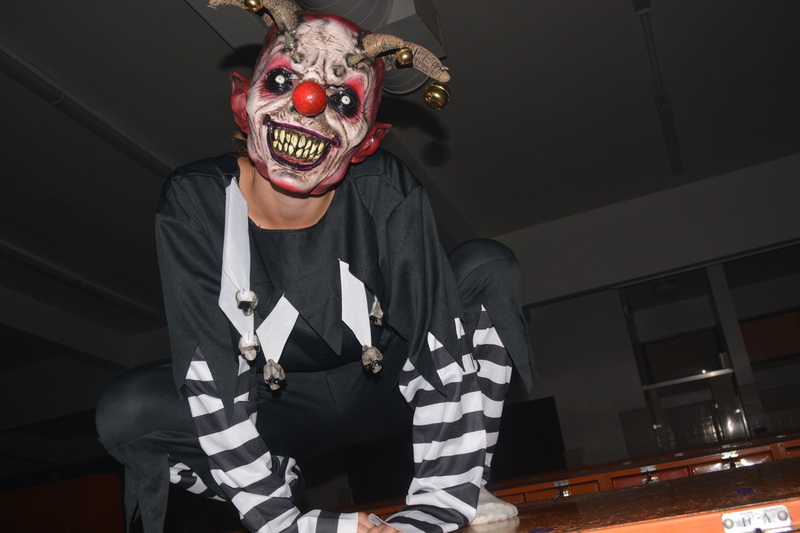 With Halloween right around the corner, Ag Leadership continued the tradition of putting on a haunted house on October 26. 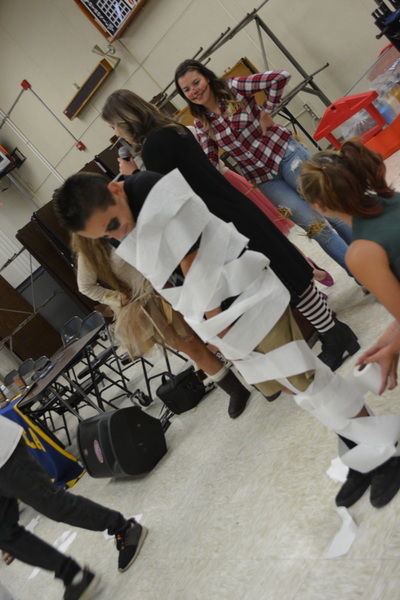 Students in Ag Leadership joined a committee and planned a specific area in the haunted house. They put in so much effort to make this event the best it could be! After all the early morning and late night preparations, we can honestly say this event was such a huge success. Most events in the past were offered for only students, however we felt it would be such a great idea to make this a family oriented event. 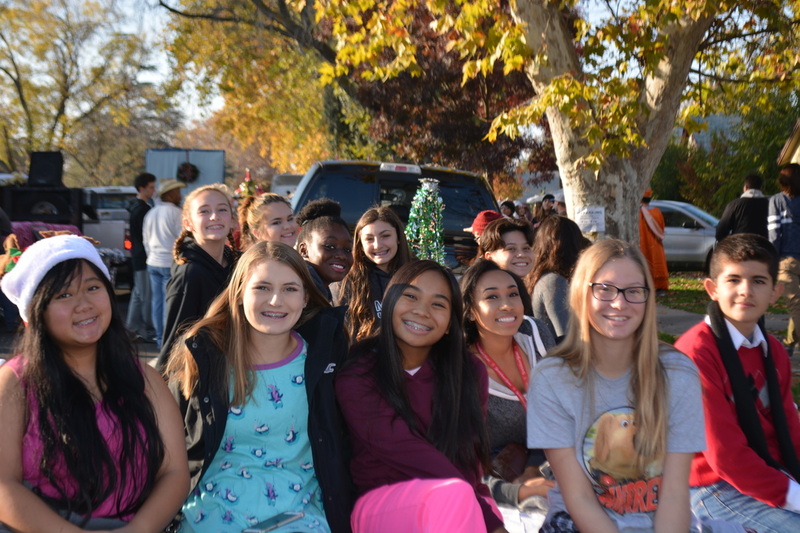 With such a help from Merced's leadership class, we were able to put on a Fall Festival. 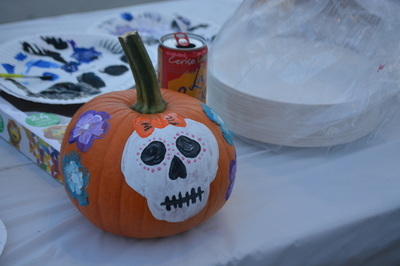 There were many booths offered like pumpkin painting, ring toss, and pick a pop. Food and treats were also available to snack on. 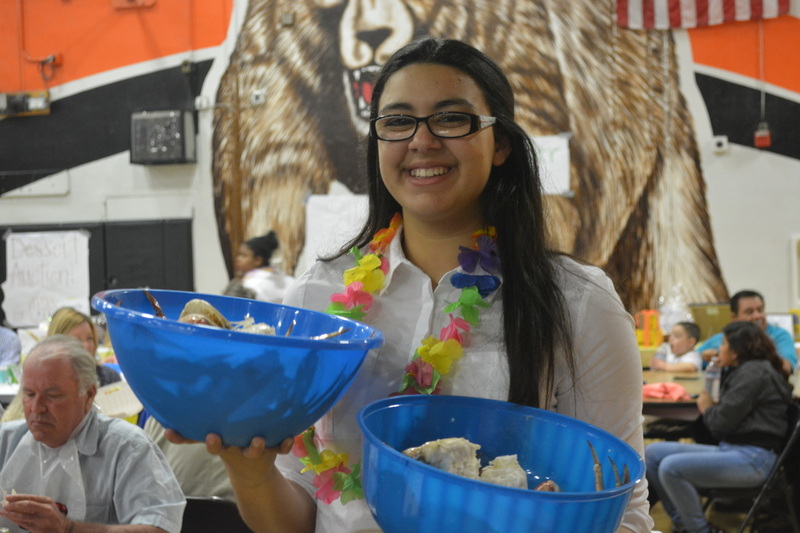 Thanks to Mr. C's culinary arts class and FCCLA, we were able to have Halloween treats available. Not only was the event meant for Merced High students and their families, but everything offered was free, including entry! We can't thank those that helped out enough. We are so lucky to have the support from all the families that attended to make this event so successful. 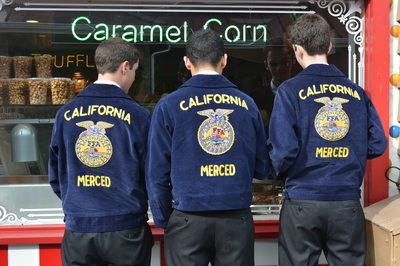 ​Merced FFA has always took pride in their students and all their accomplishments. Public speaking competitions is just one of the many opportunities that FFA offers its members. 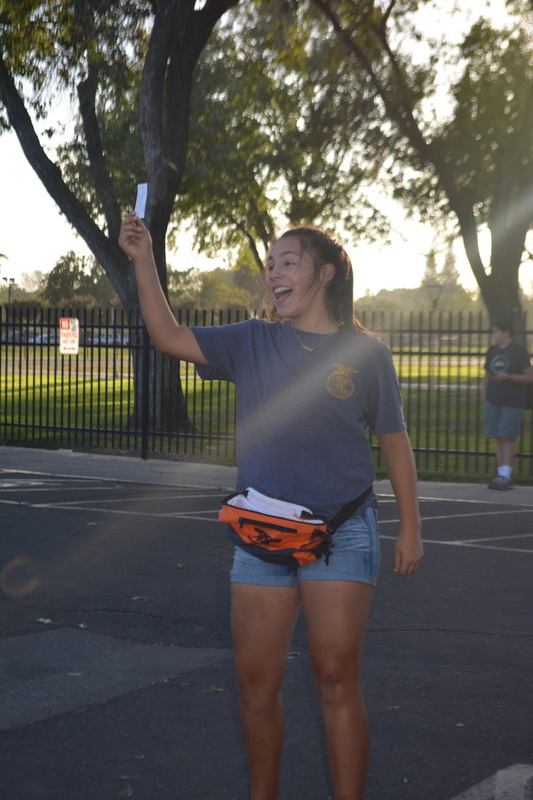 Merced FFA loves to get as many people involved in these competitions as possible. One of the first competitions is Opening and Closing. This competition gets Greenhands involved and definitely allows them to take their first steps to becoming a natural at public speaking. On October 12th, Merced FFA attended the Opening and Closing Ceremonies Contest at Gustine High School. 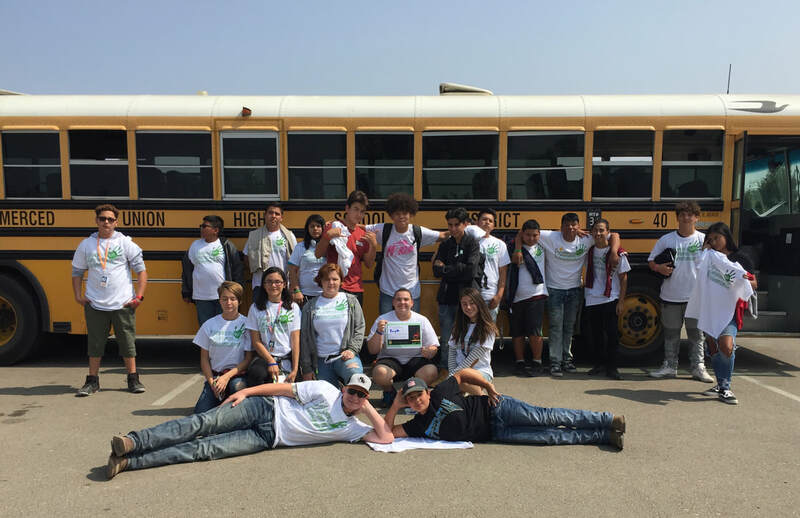 They took 5 very well prepared Greenhand teams and Merced FFA's Chapter Officer team. All the competing teams, including the Officer team, received gold! Also, a huge round of applause to 15 of Merced’s participants for receiving outstanding Officer awards. 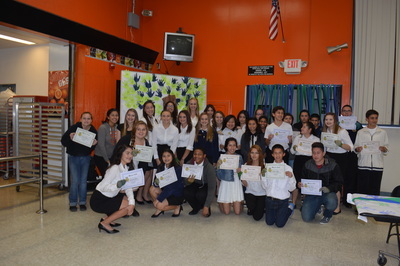 Merced FFA is very proud of all the first year FFA members who participated in the contest and taking those first steps to becoming a great public speaker! 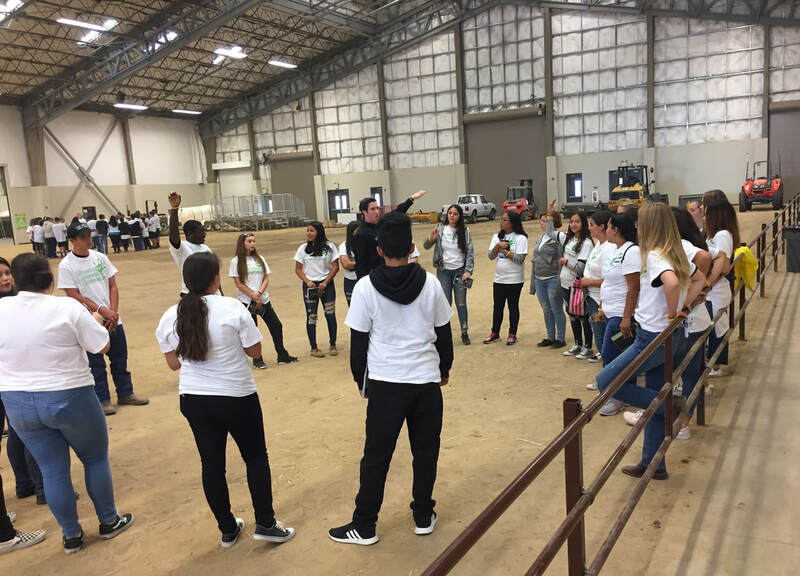 With FFA being all about educating the next generation on the future of agriculture, Merced FFA was very excited to participate in helping out the Merced County Farm Bureau with their annual "Farm 2 U Day" this October 6th at the Merced Fairgrounds. 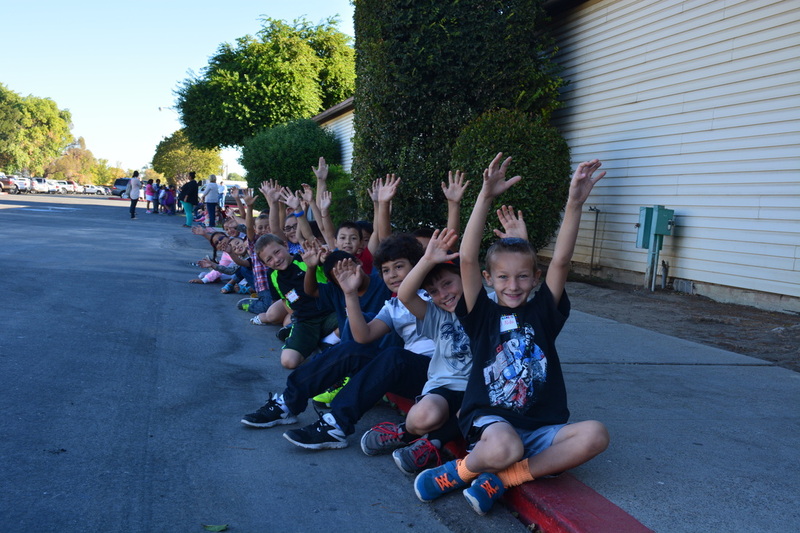 Merced FFA had the amazing opportunity of taking 60 volunteers to help "herd" over 3,000 3rd graders from elementary schools within the county. 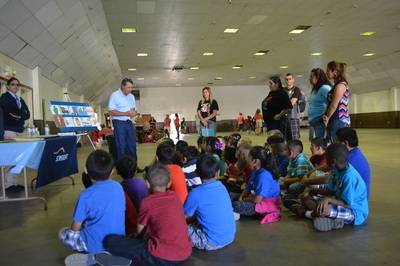 All those little 3rd graders are so curious and interested in learning all they can about agriculture. 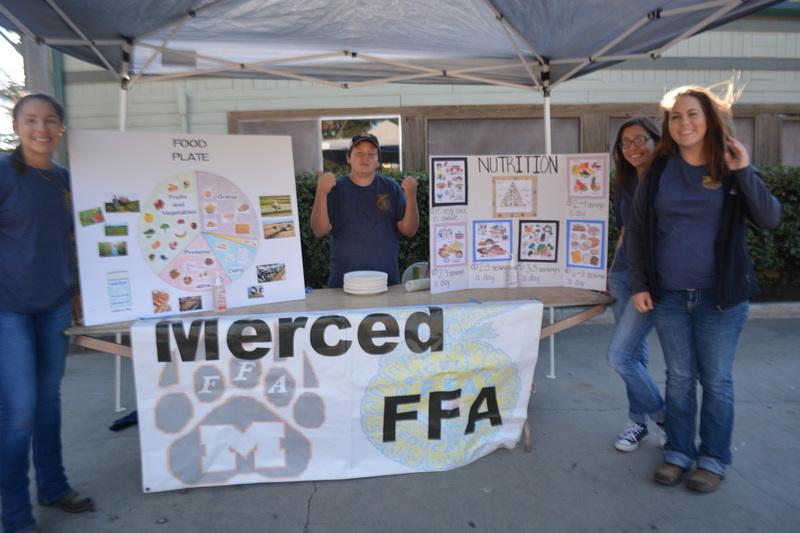 Merced FFA also had the opportunity of taking presenters to run booths for the little kiddos. The presenters included students from Mr. Mua's welding class, Ms. Elliott's Horticulture class, a Nutrition booth, an Almond Processing booth, and an informational booth on beef cattle. Merced FFA couldn't be more excited for being able to participate in this amazing event. It is such an amazing day for 3rd graders to get filled with information about agriculture. We hope to continue participating in Farm 2 U Day in the years to come. 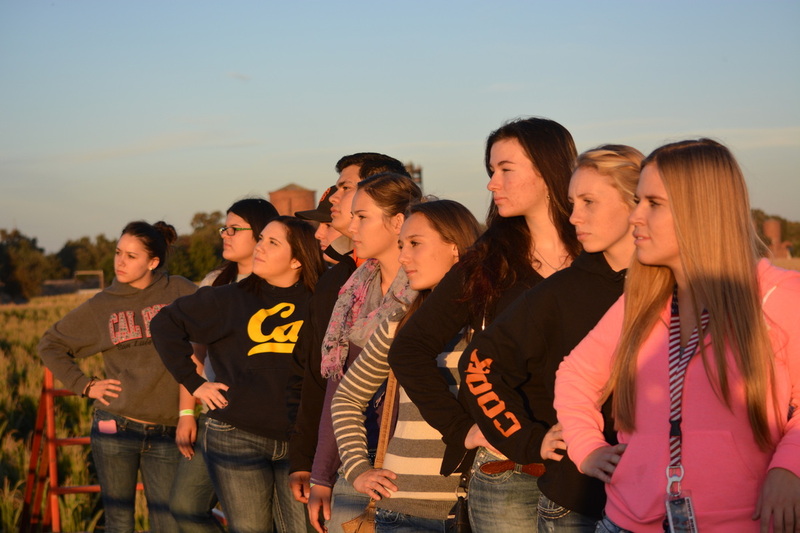 FFA has Chapter Officers, Sectional Officers, Regional Officers, and State Officers. Being an Officer is such a great opportunity for members to serve and give back to the program that offers so much. State Officers take turns visiting schools all around California. For Merced FFA this year was our lucky year! A State Officer visit only happens once every 3 years for a chapter. We were fortunate enough to receive a visit this year from the State Secretary Amanda Skidmore and the State Sentinel Jace Neugebauer. On October 4th, they came and joined our members out at the lake eating linguica, learning to swing dance, and making s’mores. The next day, students had an awesome time with them doing workshops in class and taking a little break from learning. They were in our classrooms all day teaching our students about using their strengths, finding their purpose, and understanding the importance of serving. It was amazing to see these people only a few years older than us--one of them even from our neighboring town--doing such great things. Merced FFA provides students with opportunities that other clubs can't offer. All of this is because our students participate in fundraisers. All the money made is given back to our members. 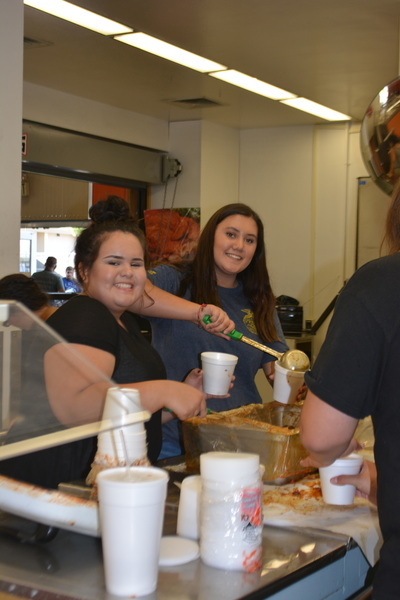 Every year, Merced FFA continues the tradition of a Tri-Tip Dinner Fundraiser! 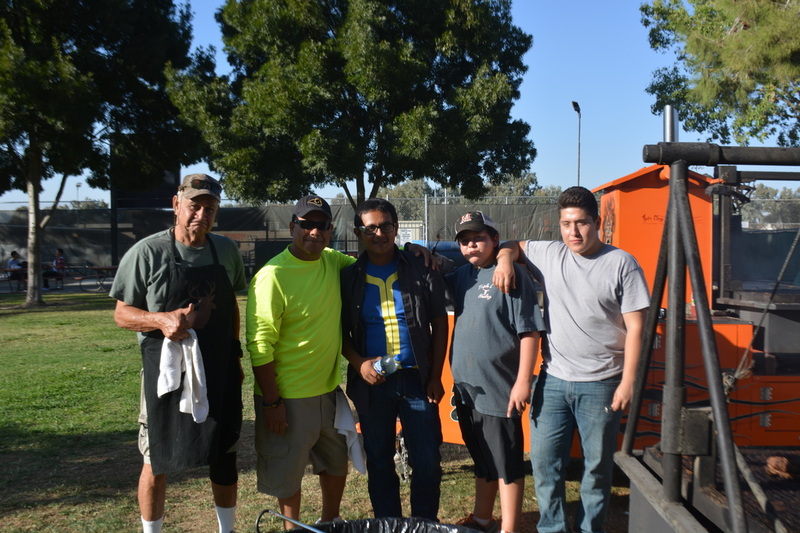 On September 30th, we had our first Tri-Tip dinner of the year! Students help to plan the whole event. They help with preparing, cooking, and delivering the tri-tip. 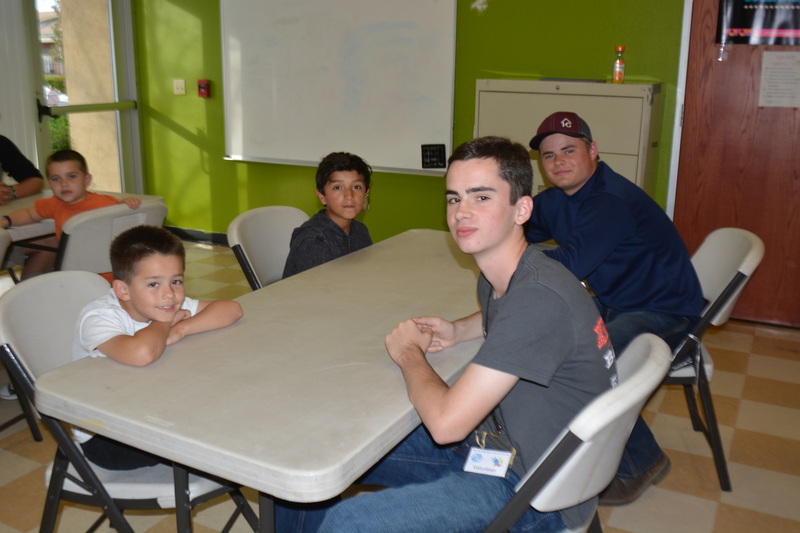 While enjoying the fun that comes with helping at the fundraiser, members also received an activity point that helps with their grade. 1700 pounds of tri-tip was cooked. With all the help from everyone who s0ld tickets, we beat our record of ticket sales! 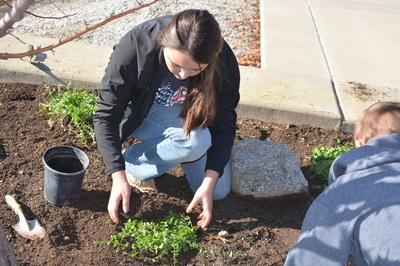 To add on to the delicious tri-tip, when customers came to pick up their tri-tip, they had the option to stop by our amazing plant sale put on by the Merced FFA horticulture class. We can't thank all our supporters that purchase tri-tip tickets enough! We can't wait for the next dinner in the spring! Living to serve is what FFA is all about. Merced FFA loves to pursue this. We participate in many community service events to help the community. 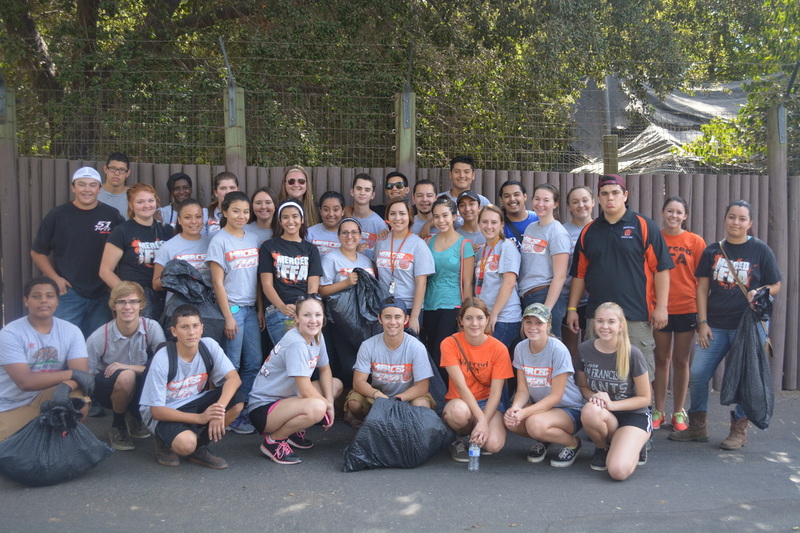 One service event that we participate in every year is Love Merced! Merced FFA's cSeptember 24th, 22 students and 2 Ag teachers helped clean up Applegate park. Even though it was an early, cold morning, we all enjoyed each other's company and the joy that came with helping clean out community. While cleaning up trash, students found oh, so many strange items...A shovel, a barbecue, and clothes, oh my! 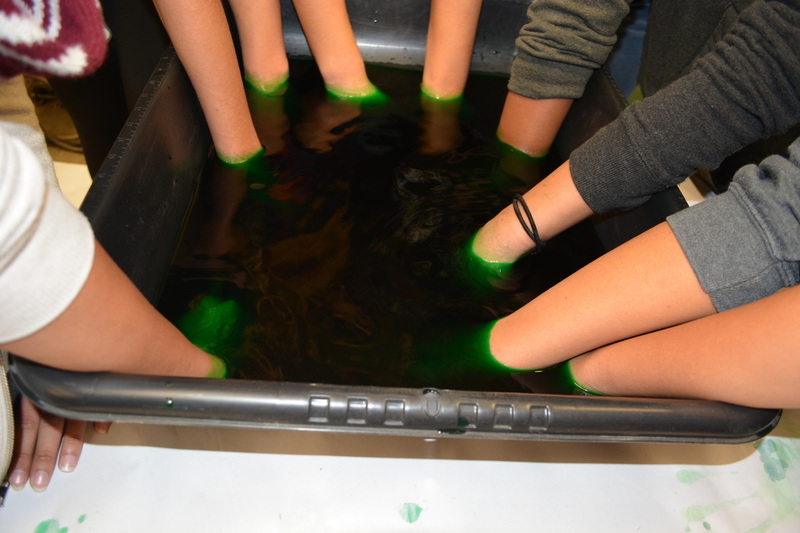 It was so fun, students didn't even mind cleaning. 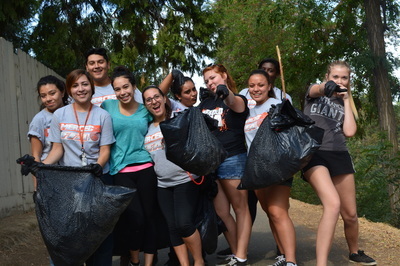 We all can't wait for the next community service opportunity. 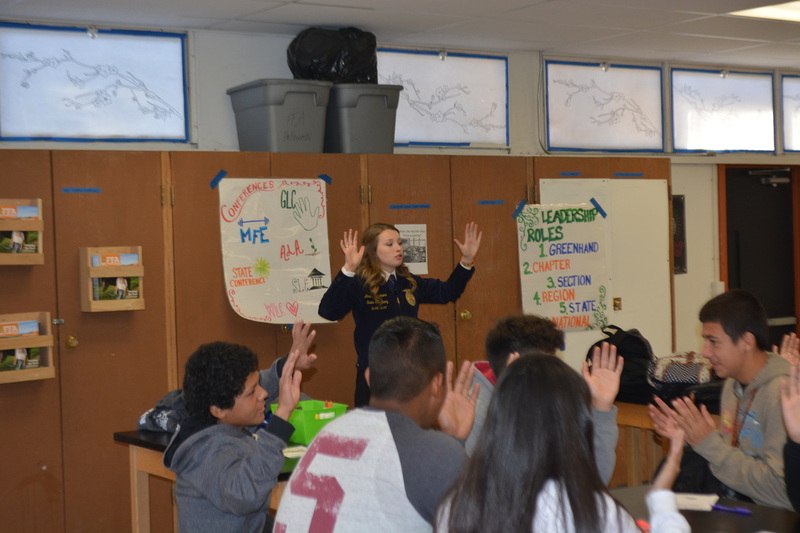 During the summer, Merced FFA thought, thought, and thought about how to get more members involved and hooked on FFA. With most of our meetings taking place outside of school hours, we can see how it might be hard for students to come back to the school. So, with this is mind, the officers planned and put together an Open House. 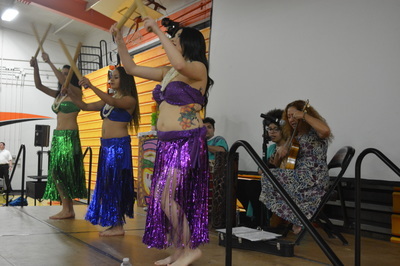 This event took place at lunch on August 24th! 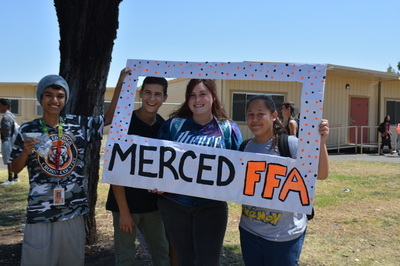 With this being our first event during school hours, we weren't sure how many students to expect, as we invited all students and staff at Merced High. But, oh man! We have never seen the Ag Department filled with so many new faces! Students were enjoying learning about FFA and what our program has to offer. 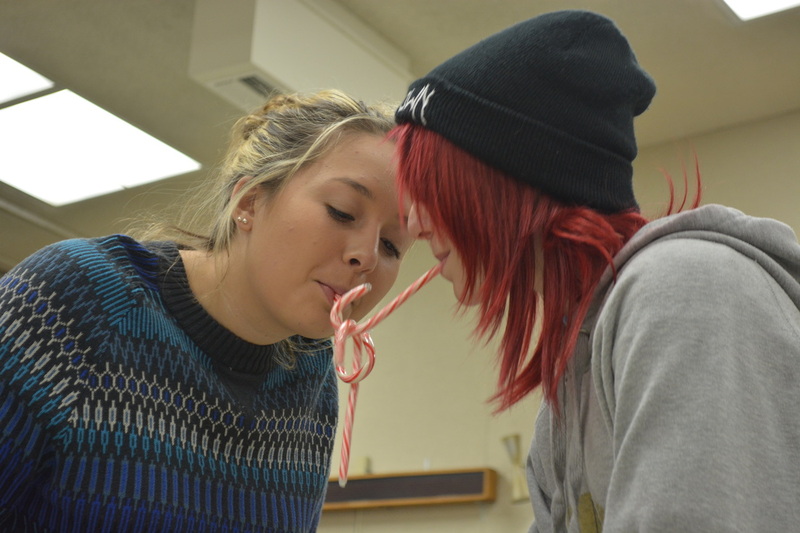 More than 20 students joined an Ag class after this Open House. 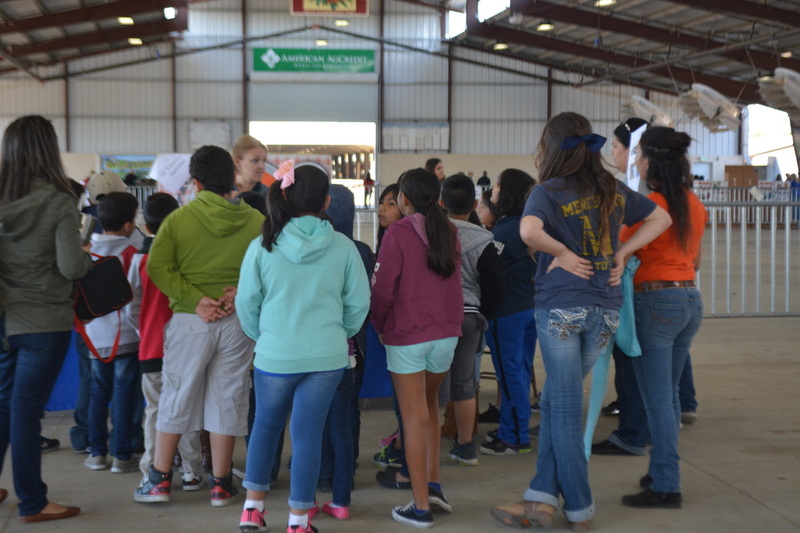 While learning about the fun times FFA offers, students enjoyed free snow cones, cotton candy, hotdogs, games, fun, and much more! This event was also very beneficial to students already in an Ag class. Members received an activity point, which got them ahead on their grade! 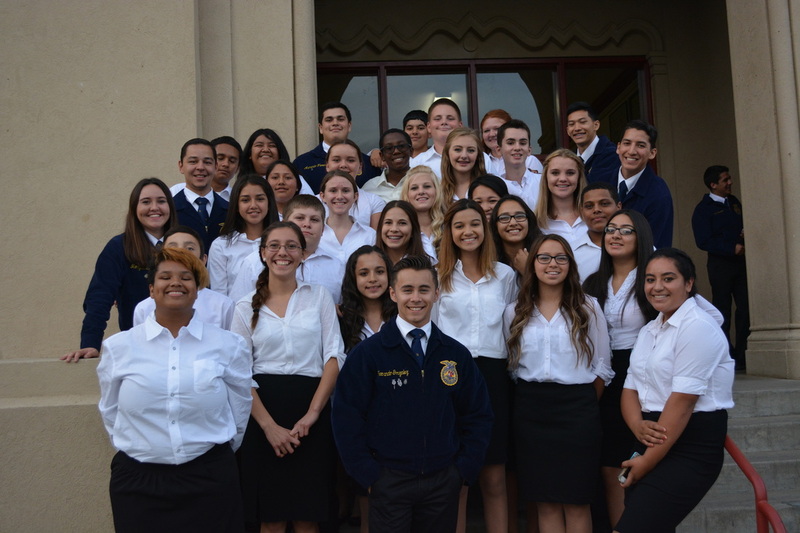 This was such a great start to the year and we can't wait to see what this year has to offer for Merced FFA members! It's our biggest fundraiser of the year. The crab feed is what lowers the price of fun things like the mid-year POA trip, Tulare Farm Show and State Conference. This year, we were extremely impressed with our members and how hard their worked to push tickets sales. We are proud to say that because of our students, we were able to sell just under 500 tickets! The leadership class has also been working since October planning and working day after day to make the night possible, and on top of all that, students were there since 7:30 in the morning setting up. Everywhere you looked, you could see the work of our members. The nights went great thanks to all of the amazing support our chapter had. Not only were our customers stuffed with salad, pasta, bread, and most importantly CRAB! But our silent auction was a complete success as well, with over 60 items donated, and every one of them sold. We were also fortunate enough to have a live ukulele performer and hula/tahitian dancers to go along with our Hawaiian Luau theme. This added a very nice touch that was very much appreciated by our customers. Months of planning, hard work, and dedication went into making this night possible and the Merced FFA chapter is incredibly lucky to have the amazing members, parents, and support that we do. On January 23 the Merced FFA chapter load up 30 people into 3 suburbans, and headed on there way to Monterey California. 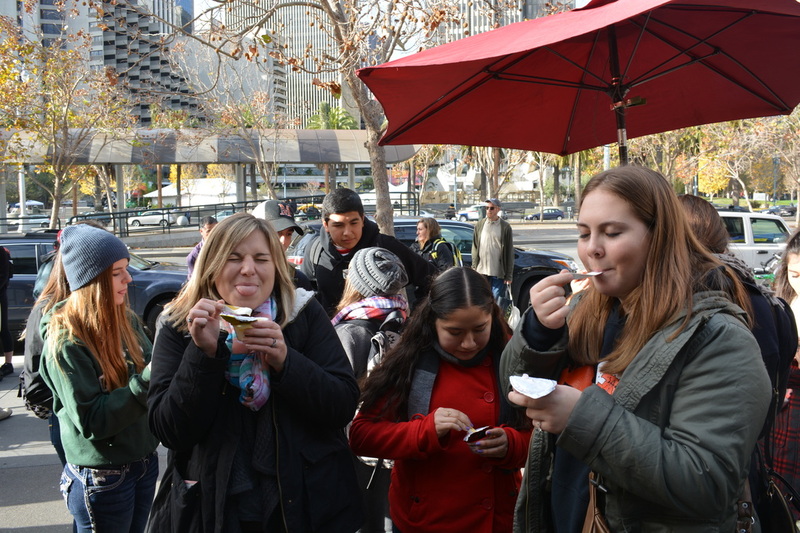 When they got there they stopped at the Warf, had lunch and walked around, from the looks of it everyone had a great time at the pier eating clam chowder and finding the candy stores. When it was time to leave the pier, they loaded back up and headed for the hotel at which they would participate in leadership activities. When they reached the hotel everyone split up into two groups, Sophomores and Juniors. When inside the conference room at MFE it was about yourself and how to be a better leader in your chapter. In ALA it was about how to create new and innovative way of recruiting members and overall benefiting your chapter. One activity in MFE was where the students had fill out this card and at the bottom it says “because I said, I would.” The students make a promise that they will keep with them. One activity in ALA was to create a plan for recruiting members for your chapter and presenting it to everyone. 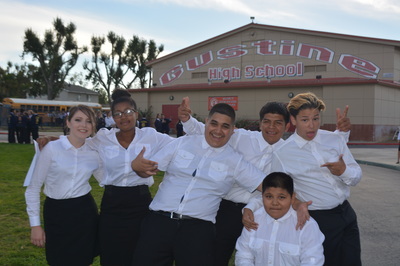 That night the students were rewarded for their day of hard work with a dance where they could hang out with all of their friends as well as the State Officers. The next morning everyone got up, got dressed in full uniform, then went downstairs for breakfast. After breakfast they finished up the last of the sessions, and after the sessions everyone got the opportunity to thank the State Officers and take pictures with them as a momentum of their amazing time at the conference. Everyone loaded backup in the suburbans and left for lunch at Phil’s Fish Market. After lunch they headed back to the valley to share their experience with the rest of the chapter. 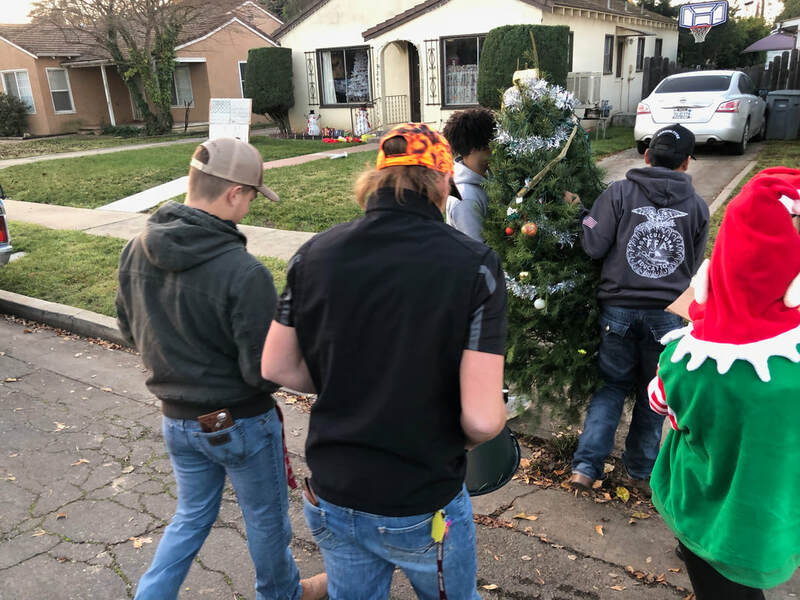 On Saturday December 19th, the Merced FFA Officer Team along with the Ford family who dressed up as Mr. and Mrs. Santa Claus, gathered together to deliver Christmas trees to families, who are not as fortunate as most to have a Christmas tree during the holidays. The day began at 7am, the chapter officers eager to deliver the trees decorated from their recent Christmas meeting. Decorations that were donated by the Merced FFA’s Chapter members. 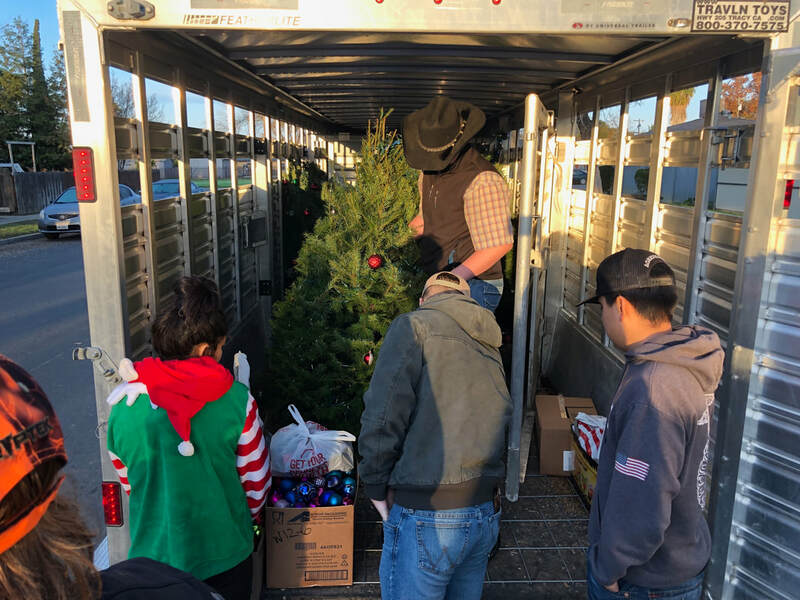 Along with the giving of Christmas trees, the Merced FFA also participated in Adopt A Family, where needed materials such as clothes are provided for the family members in the household. 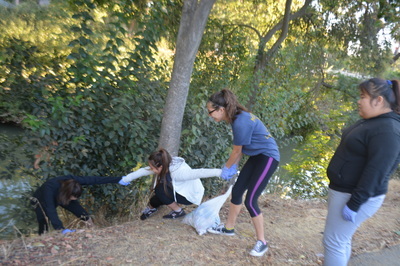 So Merced FFA members donated what shirts, pants, shoes, jackets and other apparel that would be of use to this family. Delivering to each house went smoothly and was truly a humbling and self rewarding experience. After every knock you could hear the skittering of feet along the house in long wait of this anticipated moment. 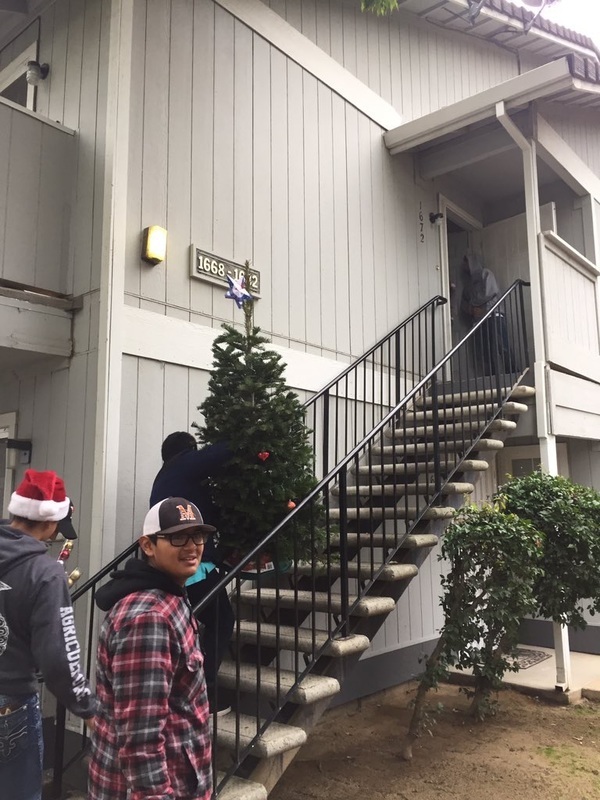 When entering the homes, kids had open eyes of excitement and overflowing joy because Santa Claus had came to their house to deliver a tree to them. Mr. and Mrs. Ford made an exceptional Mr. and Mrs. Santa Claus, handing out small gifts to the children which truly made them ecstatic with happiness. Families were very thankful to be receiving the generous offer. The Merced FFA Chapter values the importance in constantly giving back to our community, especially during the holidays. 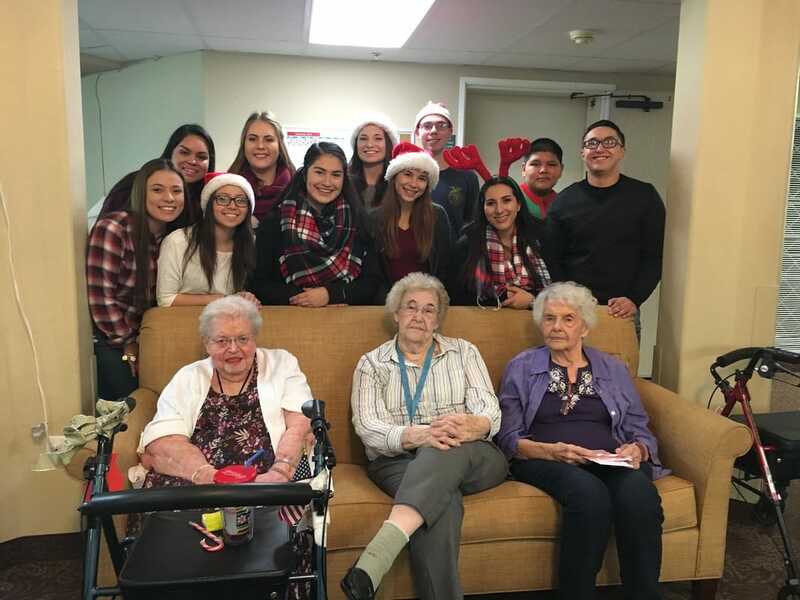 It does not only serve those in the community who are in need of just a little help around this time of year, but helps fulfill our main purpose, to install leadership qualities and characteristics into our members through humbling experiences. To install into our chapter the importance of giving, when there is need, and we have plenty to give. The December/Christmas meeting is by far a favorite in the Merced FFA Chapter. 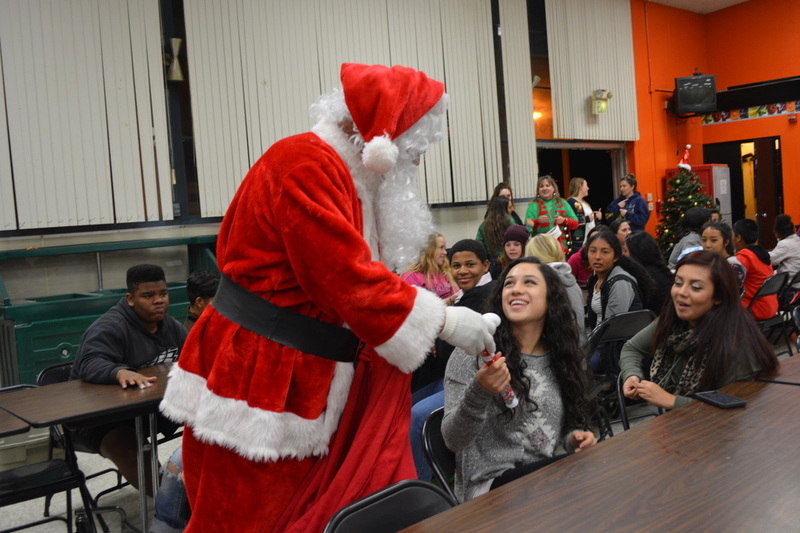 On December 15th, almost 300 students and guests joined together in the cafeteria to celebrate the holiday season with their "FFAmily". We also had chapter come all the way from Delhi to enjoy the meeting with us as well. Not only were there tons of food and games, but towards the end of the night, we were joined by a special celebrity guest....Santa Claus! Santa was kind enough to hand out gifts to students, as well as family and friends of our chapter. In addition to the gifts Santa gave out, the officers decided to grant a few wishes that couldn't be granted at our school's Make A Wish Rally earlier this month. We also had a few gifts we wanted to give to certain members of our chapter. Randee Pursley has been an involved member in our chapter for the past 4 years. Recently, her bike was stolen, and she has to walk a long way to and from school everyday. One of her good friends, Baylee Krum, wanted to do something special for Randee and worked extremely hard to raise money and buy her a new bike. The officers were extremely touched by this gesture and allowed Baylee to present Randee with her brand new bike at our meeting. There is also another member in our chapter that was given something they weren't expecting. Kalya Keiki has been a Merced FFA member for 3 years now, and it is no secret that she has had a very hard time this past year, and suffered a great deal of loss. The officer team knows Kayla personally, and decided that she deserved something nice this holiday season. She was presented at the meeting with a $200 gift card to buy new clothes. It was amazing to be able to celebrate with our chapter as a whole and reflect on one of the most important aspects of leadership: giving back. 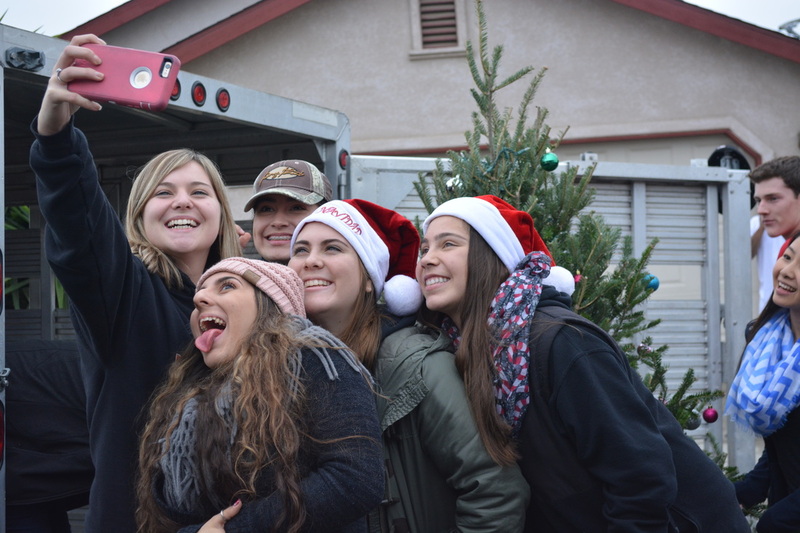 On Saturday December 12th, starting early at 6am, the Merced FFA Chapter and Greenhand Team loaded into 3 suburbans and left for San Francisco for their annual Culture Training trip. The day serves as a team to bond with the newly elected freshman officers, and time for the the chapter officers to reflect on the first half of the year. It is also a fun experience to see the diverse culture within the city of San Francisco. The team’s first stop was in Pleasanton Dublin where the officers jumped on the BART on were on their way to San Fran. 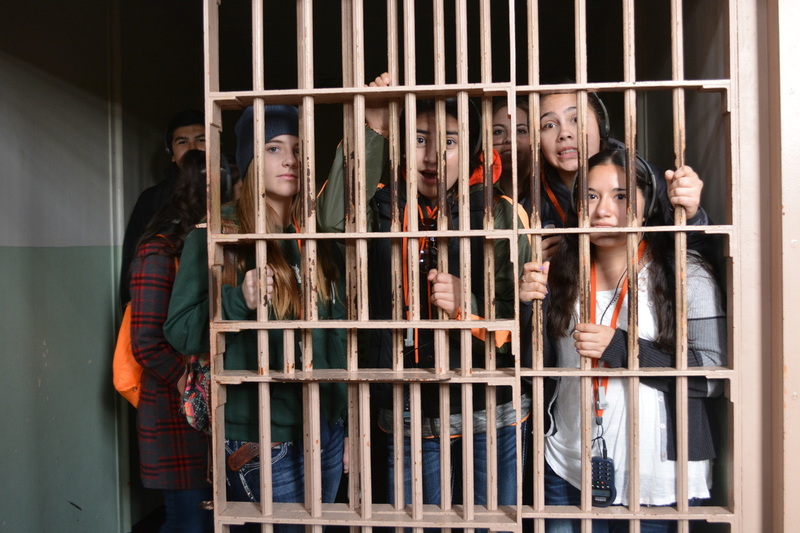 Once in the city, the first place on the agenda to visit, was Alcatraz, the most crackdown prison from 1934 to 1963. The motto of Alcatraz is, “If you don’t follow the rules, you go to prison. 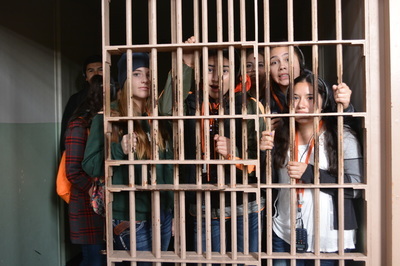 If you don’t follow prison rules, you go to Alcatraz.” It was the very first time visiting Alcatraz for many, and it was a very interesting as well as educational experience for everyone. 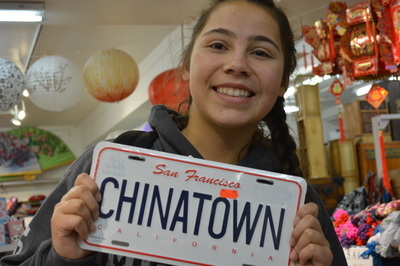 The officers also got the opportunity to wonder around Pier 39, the San Francisco Farmer's Market, and China Town and experience the food, people, and all different cultures in our very own country. The officers bonded and gained training on working well together while experiencing cultures they do not see everyday. The Merced FFA Chapter was fortunate enough to be a part of the Merced High School Make A Wish Rally this month. 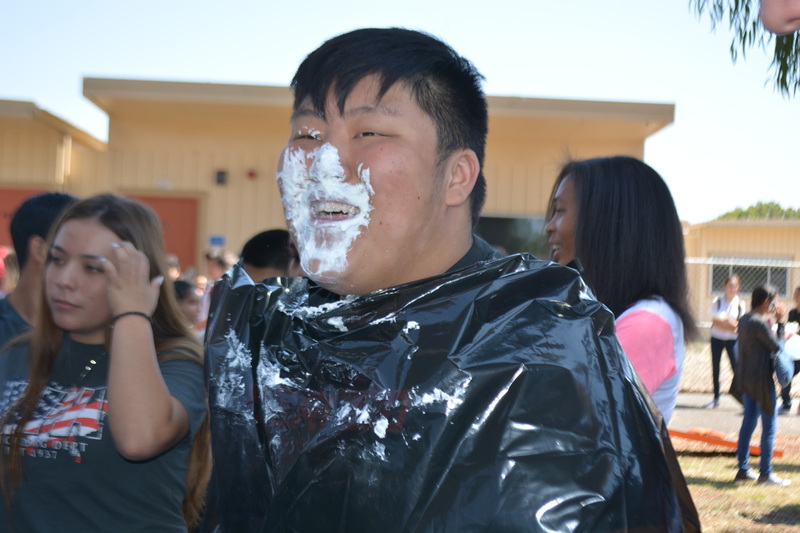 This is one of the most anticipated school rallies of the year, as it is about giving back, spreading joy, and for some, making dreams come true. 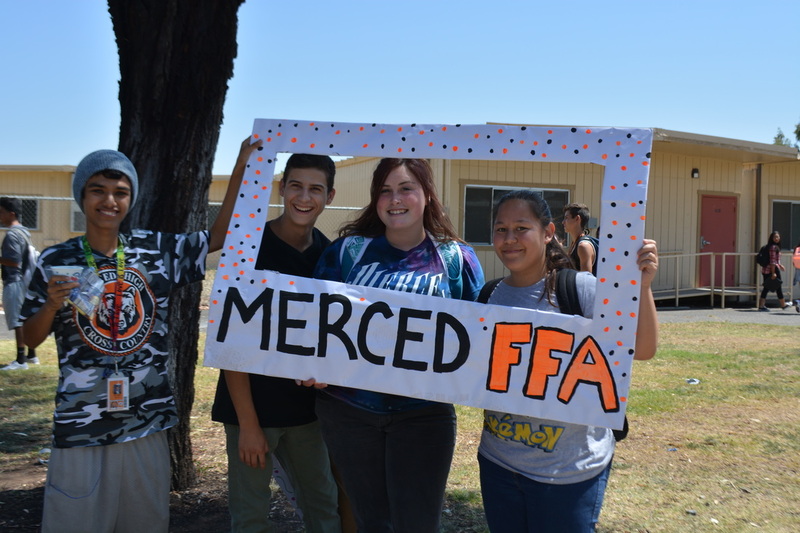 Merced FFA has taken part in the rally for many years, and hopes to continue this tradition in the future years to come. A young girl that has been involved in the Merced FFA chapter her whole high school life, made one simple wish. This young lady girl wanted a FFA jacket of her very own. Since not everyone is familiar with the traditions of FFA, the chapter officers decided that not everyone in the rally would truly understand the meaning of wearing this combination of blue corduroy and gold emblems. The officers explained that this jacket represents a program that started with 33 boys in 1928, and has expanded to almost half a million students across the United States, now being the largest student run organization in the country. The gold emblem on back of the jacket, represents agriculture, an industry that is #1 in the world and provides jobs for almost 17 million Americans. That it is a uniform recognized by business people all around. Most importantly, that this is more than just a jacket, but a symbol of everything that is good and decent about this great land we call America. The officers then brought this young lady down to the gym floor and told her she was going to receive a jacket of her very own. Our motto says living to serve, and Merced FFA wants to lead by example. 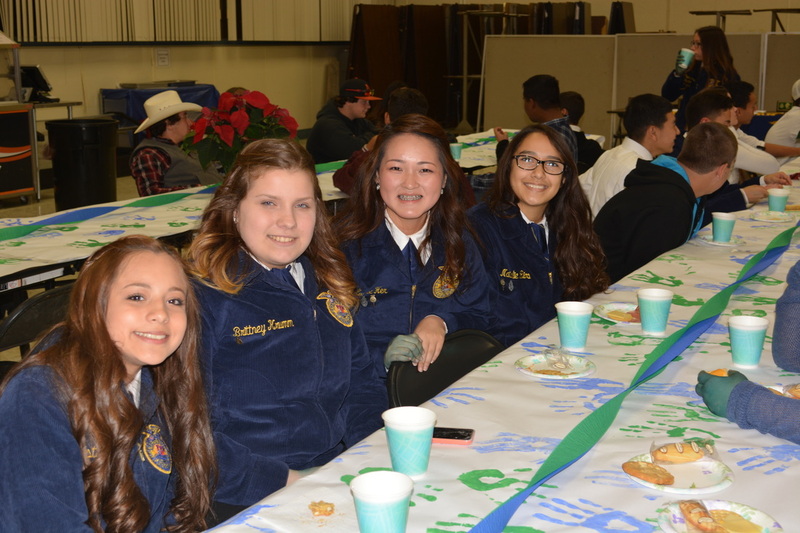 Merced FFA held their monthly chapter meeting this November, which also served as the Greenhand & Chapter Degree Banquet. At this banquet, we awarded students for their academic excellence, first year members of their Greenhand Degrees, and second, third, and fourth year members of their Chapter Degree. Over 200 members received an academic award, Greenhand Degree, or Chapter Degree. We also installed our newly elected Greenhand officer team! 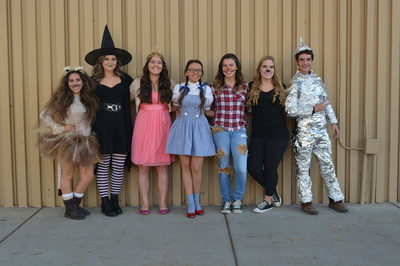 Merced FFA had their monthly meeting in October, however, with a "spooky" twist. 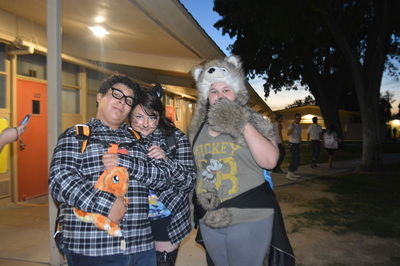 We held our annual haunted house in the MHS south ex. and girl's locker room. The haunted house was planning and organized by the Ag. Leadership class, as well as those members of the class acting as the characters in the house, with make up help by the MHS Drama Club. 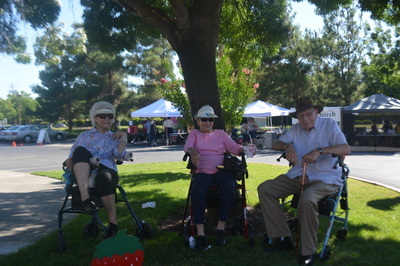 The house had about 200 guest come through including members, families, and MHS staff. The house was a success with the planning and organization of the amazing Ag. Leadership class. 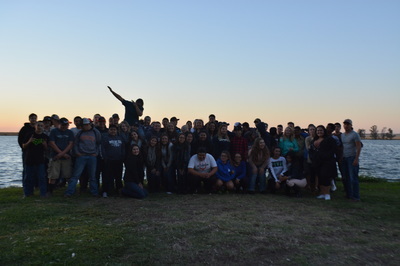 On October 29th, Merced FFA took a group of 50 students to Del Osso Farms in Lathrop, CA, where members who attended had an awesome time participating in numerous activities such as the Haunted House, Corn Maze, Rope Course, and of course the Infamous "Jumpin Pumkin". The Merced County Farm Bureau held their annual "Farm 2 U Day" this October at the Merced Fairgrounds. Merced FFA had about 70 amazing volunteers at the event held for 3rd graders from elementary schools within the county, as group runners and gatherers. The volunteers also assisted the presenters on explaining the specific areas of Agriculture. 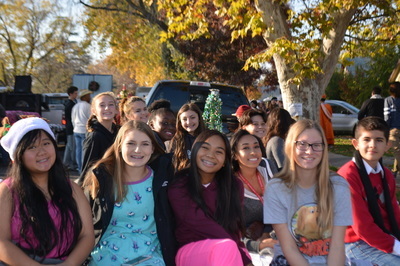 The presenters included students from Mr. Mua's welding class, Ms. Elliot's horticulture class, and a real live cow brought by Cole and Kaitlyn Huie. 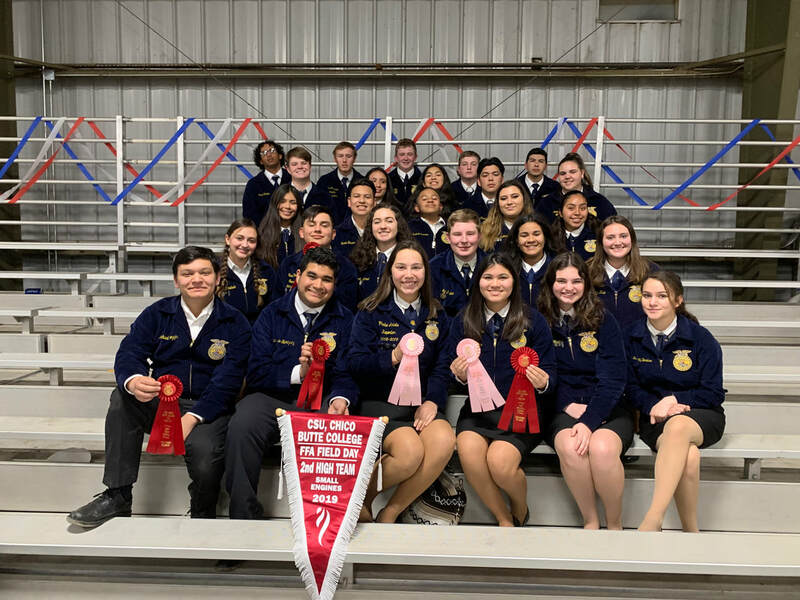 Merced FFA's Greenhand Officer Teams and Chapter Officer Team practiced continuously for the Opening and Closing Ceremonies Contest, and it paid off at the contest. On October 15th, Merced FFA proudly took 5 Greenhand teams, along with our Chapter Officer team, to compete in the Opening and Closing Contest , at Gustine High School. All of our members did a great job, and some stood out even more. Merced FFA had five teams earn gold, and one team earn silver for their performance. Along with this, we had ten Greenhands earn an Outstanding Officer award. We are very proud of all of the members who competed in this contest! 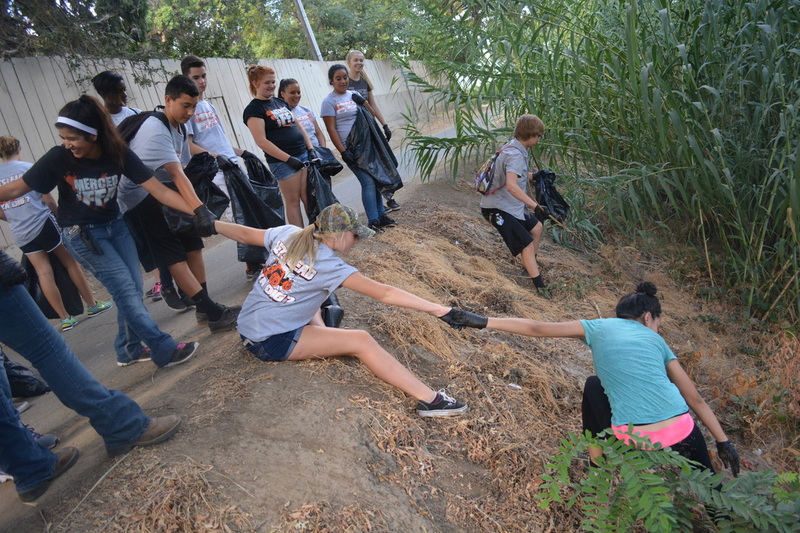 On September 13th, 2014, Merced FFA took a group of 30 students to work alongside with Love Merced in cleaning the Bear Creek bike trail. 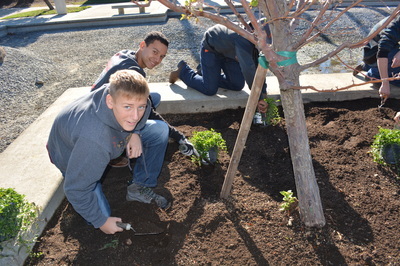 Work started promptly at 8 for students, and they excitedly made the fullest out of the opportunity to help in cleaning up a part of their community. Every student enjoyed the time they spent together helping make Merced a better place one piece of trash at a time, and are eager to participate in the next opportunity offered.